to its diverse application possibilities and amazing effect. 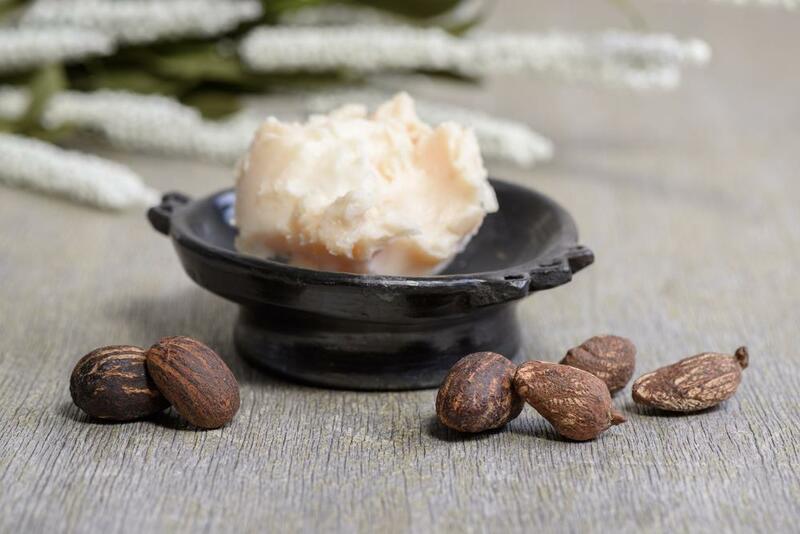 Shea butter is very rich in important vitamins and minerals. 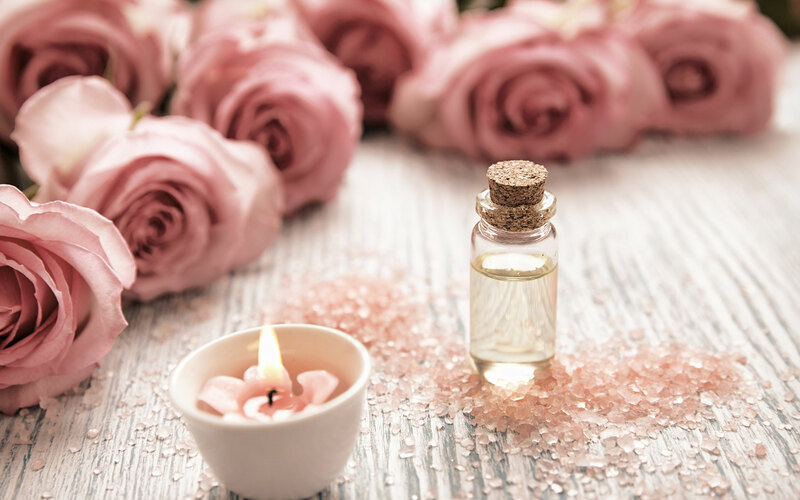 It is a reseachered and tested natural product. with sheabutter almost a miracle. 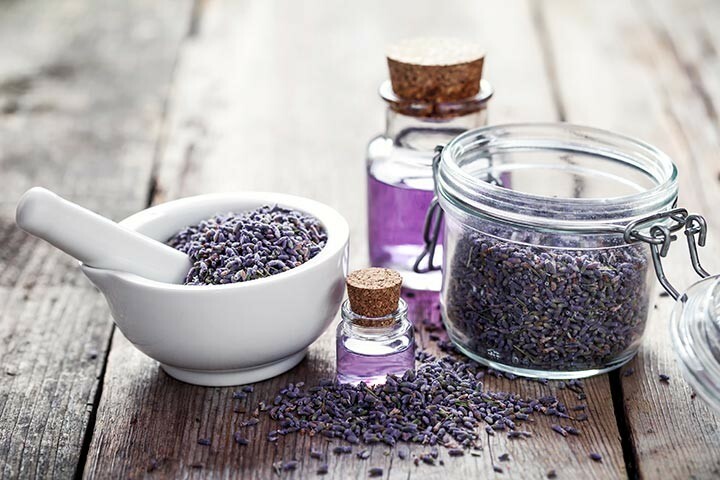 Allantoin, for example, has anti-inflammatory properties. 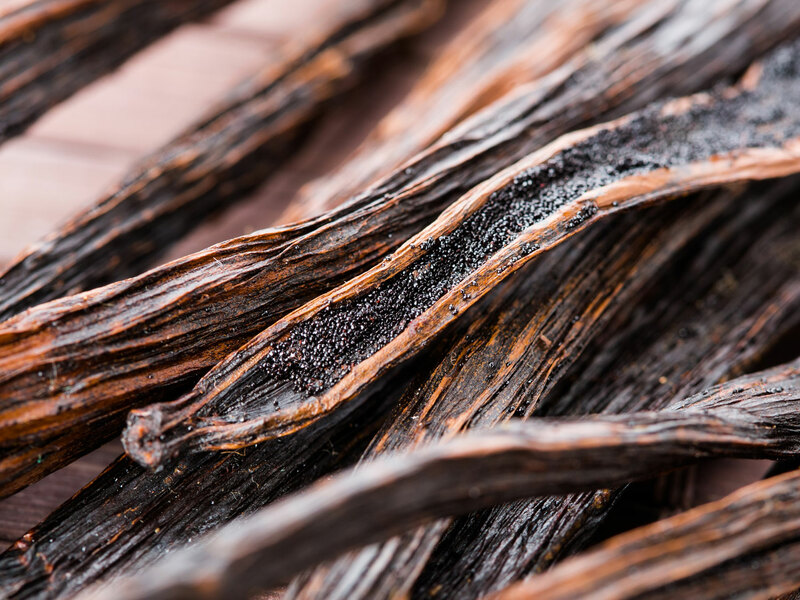 This active ingredient is important in wound healing. 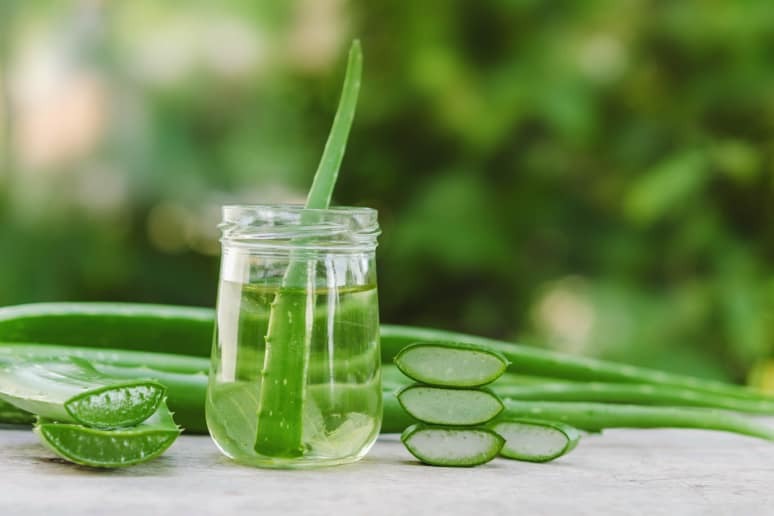 This substance can also make a big difference in skin diseases and rash. 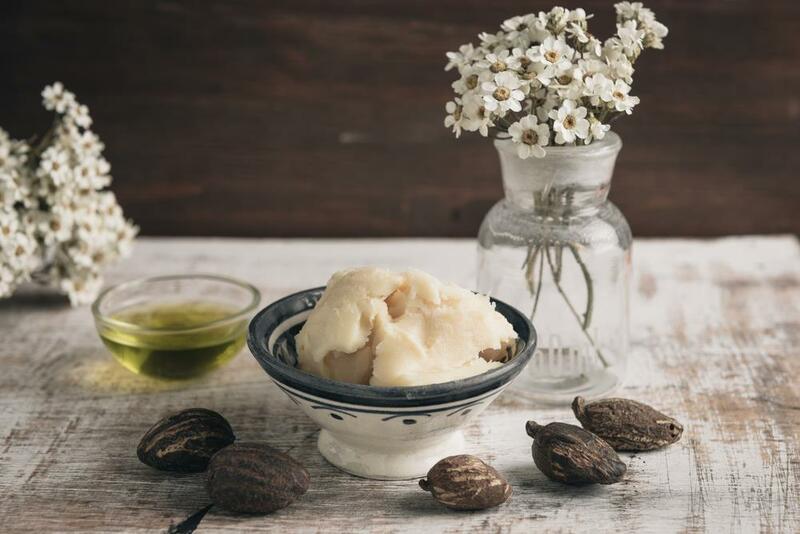 The use of atopic dermatitis is recommended in any case, but other skin problems can also be treated with sheabutter. 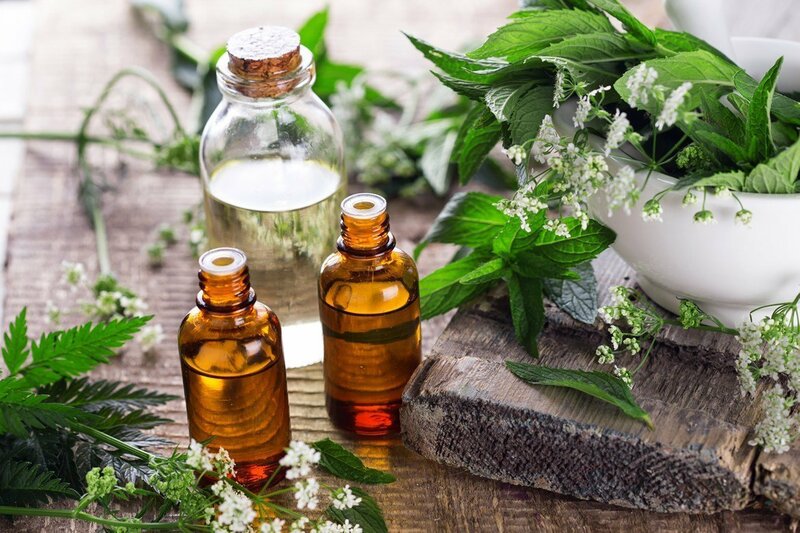 which is why this oil is often used as an anti-aging agent. 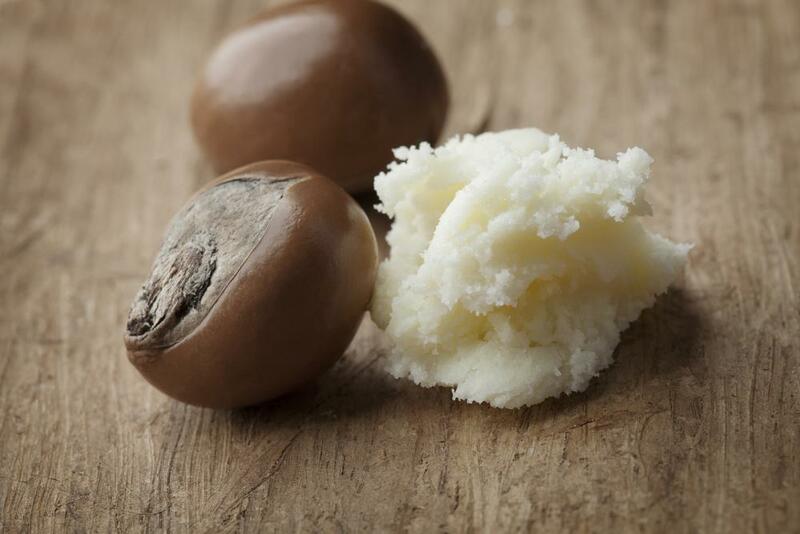 The substances in the shea butter also work very well with dry skin. The skin becomes more elastic and supple. This protects the skin and makes it not lose moisture. Even for the hair, the sheabutter provides effective protection. 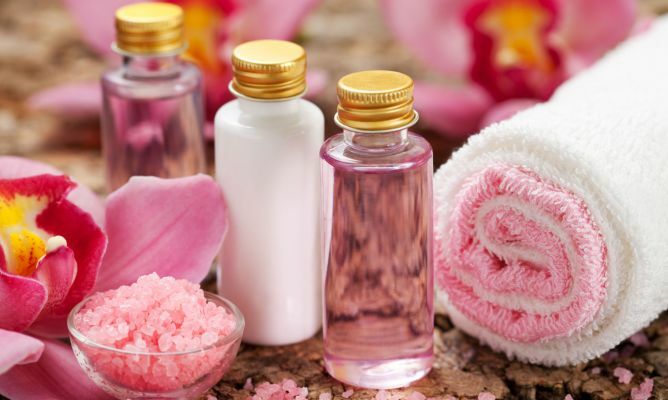 An hour before hair washing you massage it gently into the hair, the hair can absorb all the care contents. The hair becomes shiny and supple. The faithful four-legged friends profit physically from the many-sided qualities of the sheabutter. A perfect treatment for paws. These are, for example, heavily strained in the streets during the winter. 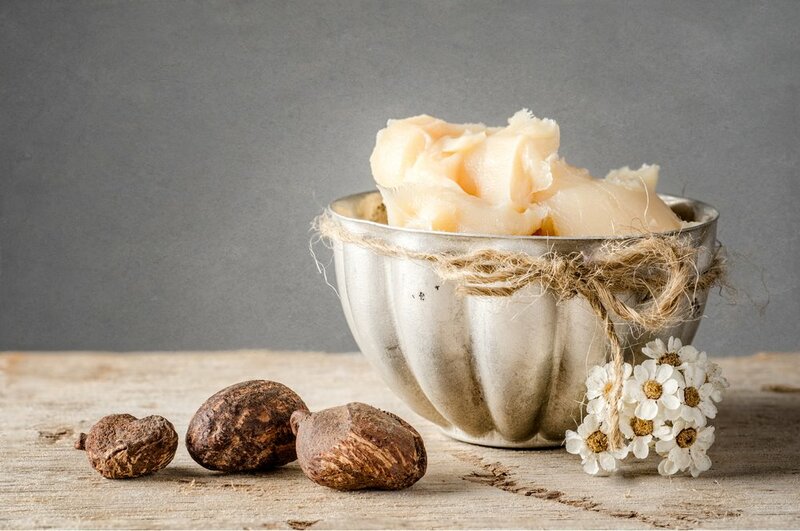 The long-lasting refatting sheabutter forms an effective protective layer in this case. even if they lick the paws for cleaning or assisting the wound healing. 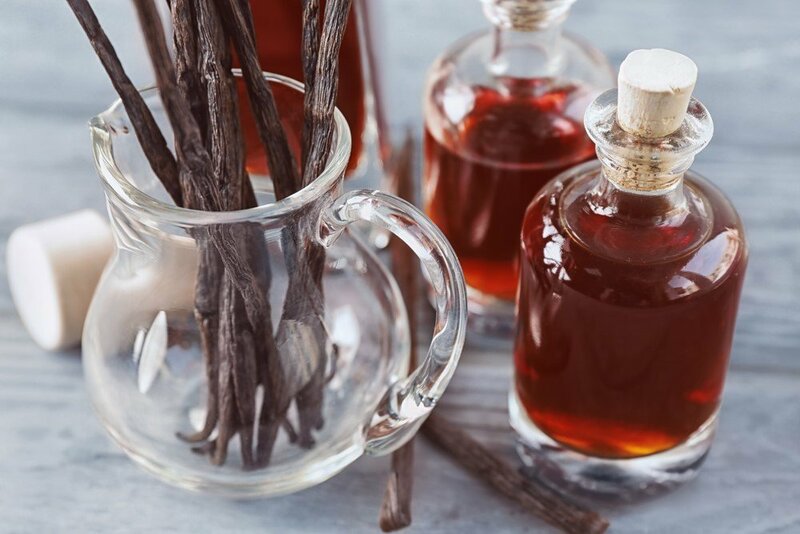 versatile oil. 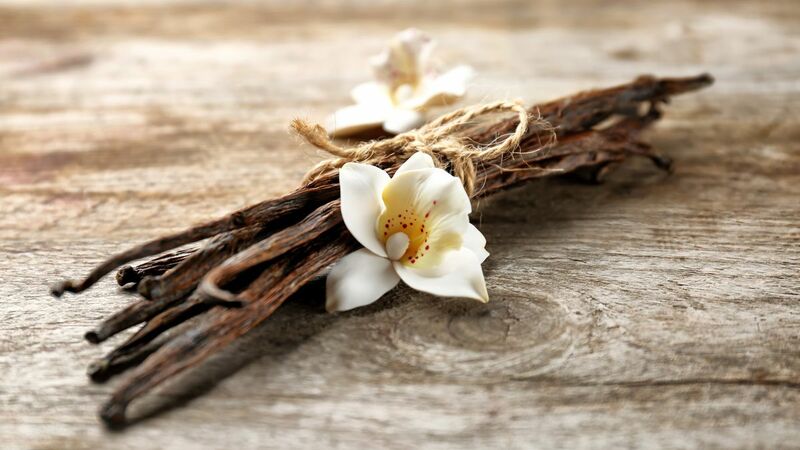 It maintains the Skin after application and has an effect on the cell regeneration of the skin and hair. as well as for mixed skin. Moisture and leads to a more elastic (younger looking) skin image. 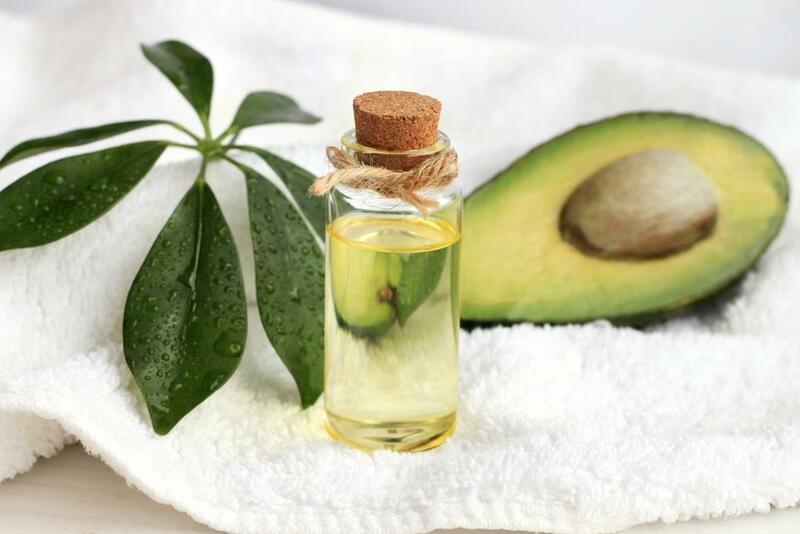 In the long term, avocado oil produces a clearer skin and more tension and vitality. 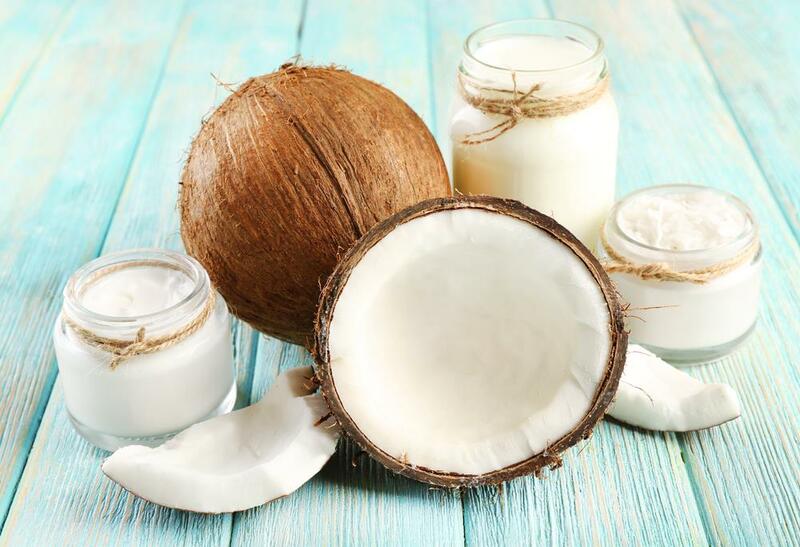 Coconut oil has a great abundance of healthy contents. natural composition it can be applyed on any part of the skin. 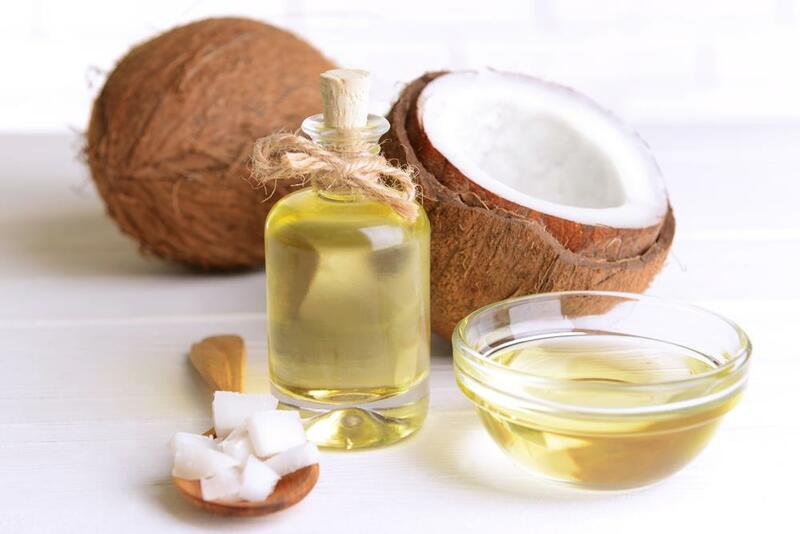 Due to its antibacterial effect, coconut oil is a very good remedy for inflammatory skin diseases. 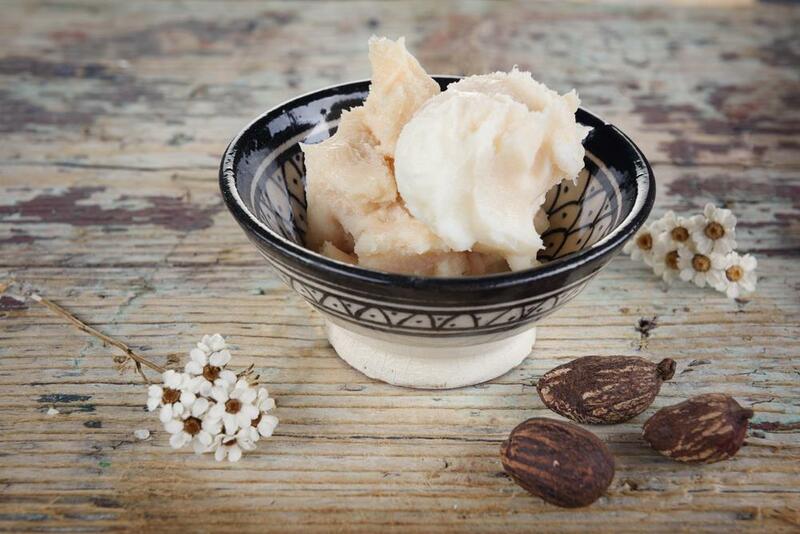 The skin is cleansed, moisturized, and so affected that it can quickly decay irritated skin parts in the future. 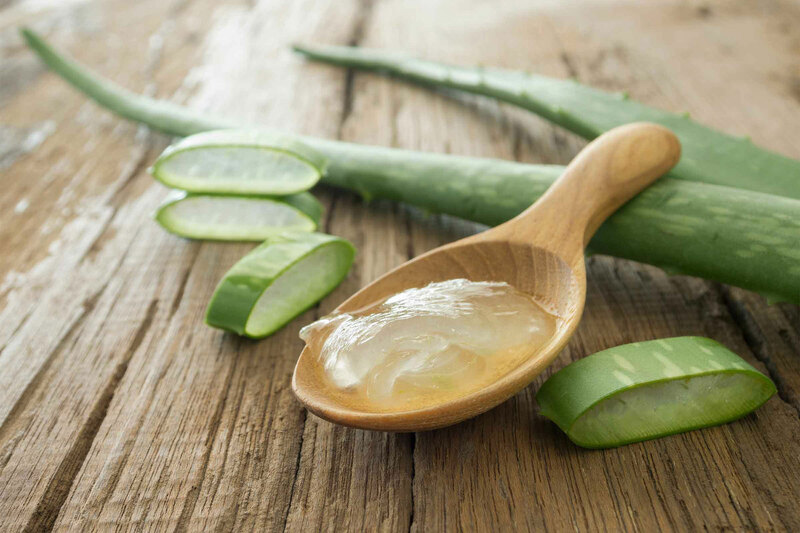 With its valuable content, it tightens the skin, provides it with a lot of fresh moisture and thus ensures a smooth, smooth skin. 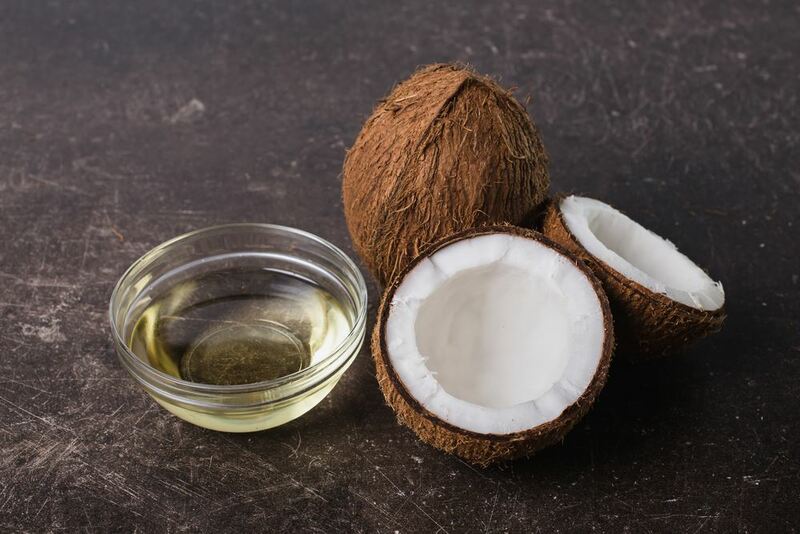 Likewise, coconut oil has a whole range of different vitamins and minerals as contents, which strengthen the dry hair from the inside out. 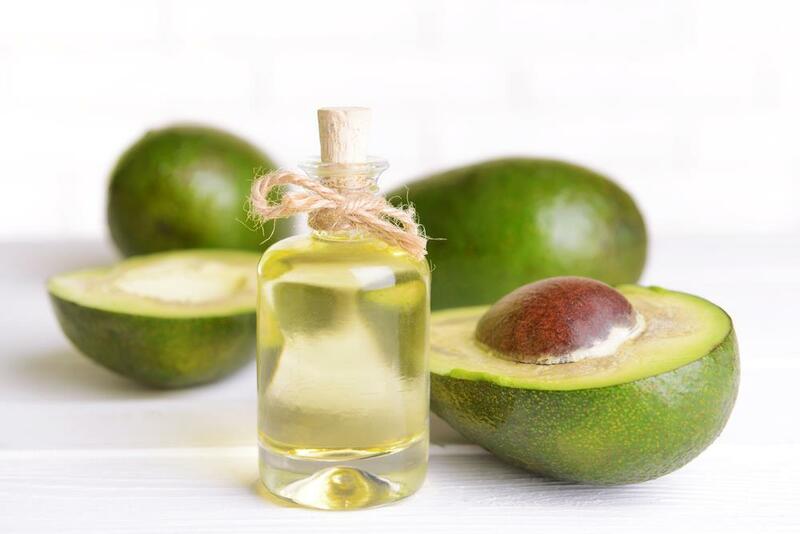 The nourishing oil provides valuable moisture to the hair. 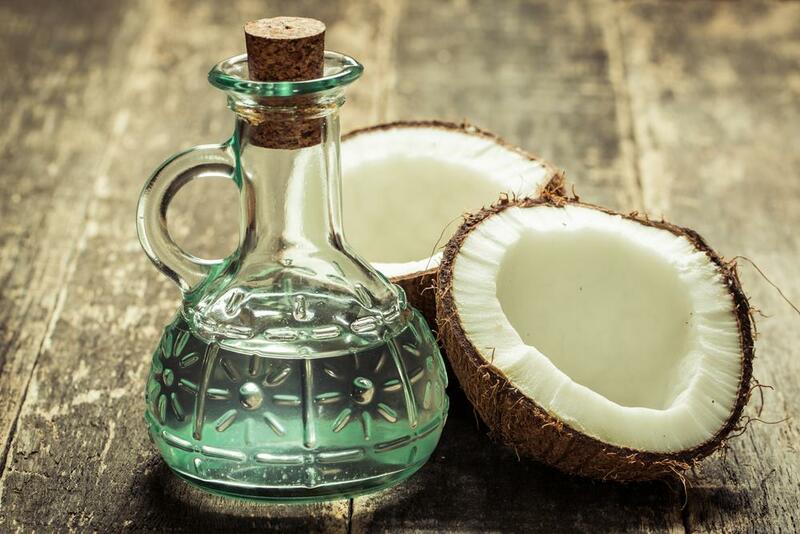 It makes it supple and stimulates the hair roots. 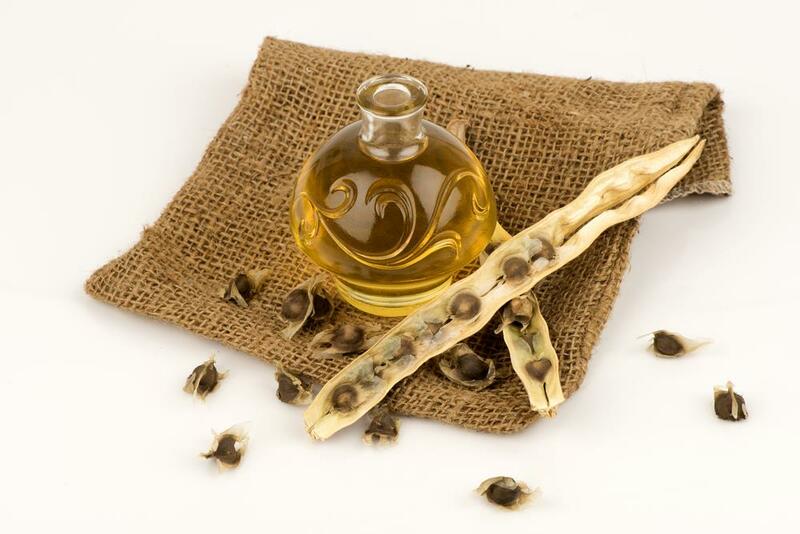 The nourishing properties of high-quality Moringa oil are ideal for hair and skin care. 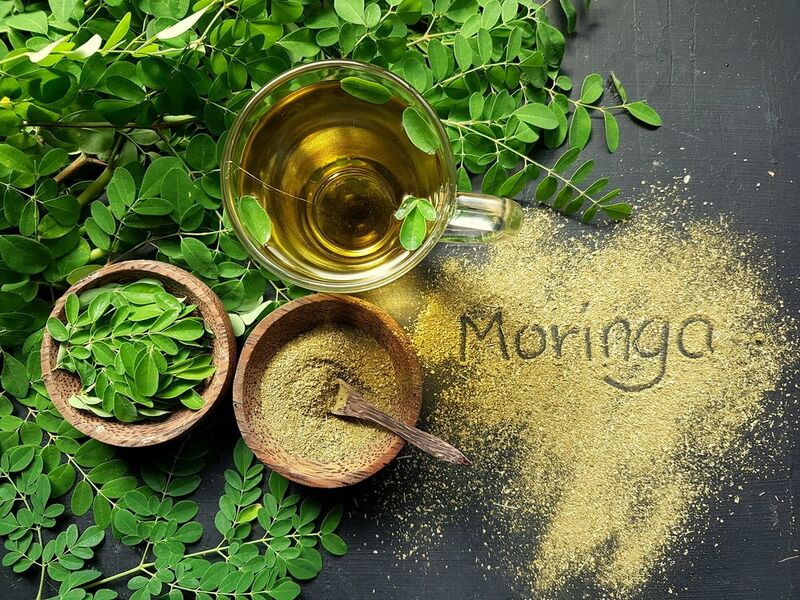 Wonderful effects are contained by the numerous antioxidants in the Moringa oil. 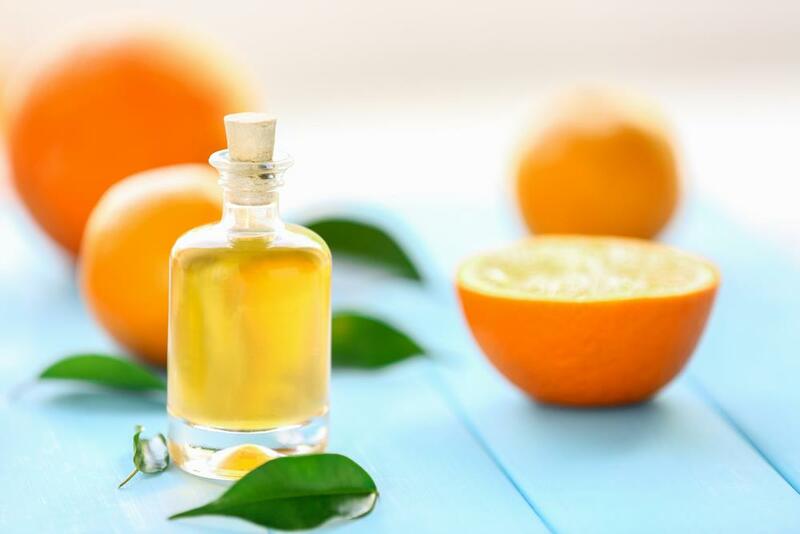 It is particularly rich in vitamins A and C, preventing premature wrinkling. 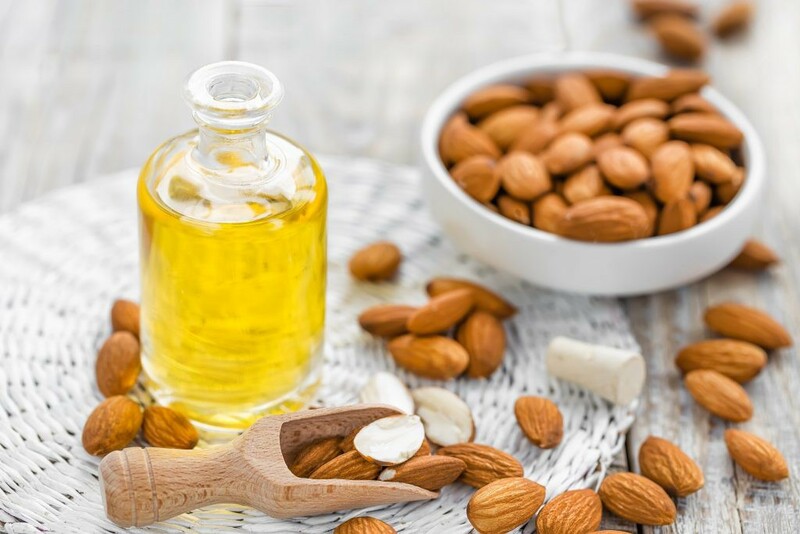 Other vitamins, iron, zinc, copper and magnesium protect the cells and stimulate the cell repair and the regeneration process of the skin. 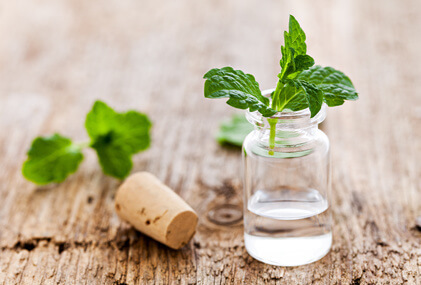 has anti-inflammatory and anti-bacterial effects. 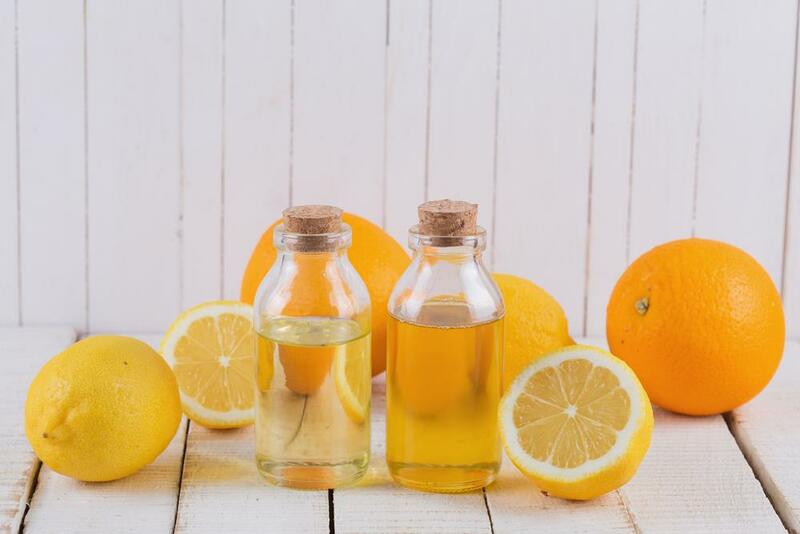 The pure lemon, orange oil is obtained by cold pressing of the shell. The concentration of the ingredients is correspondingly variable. 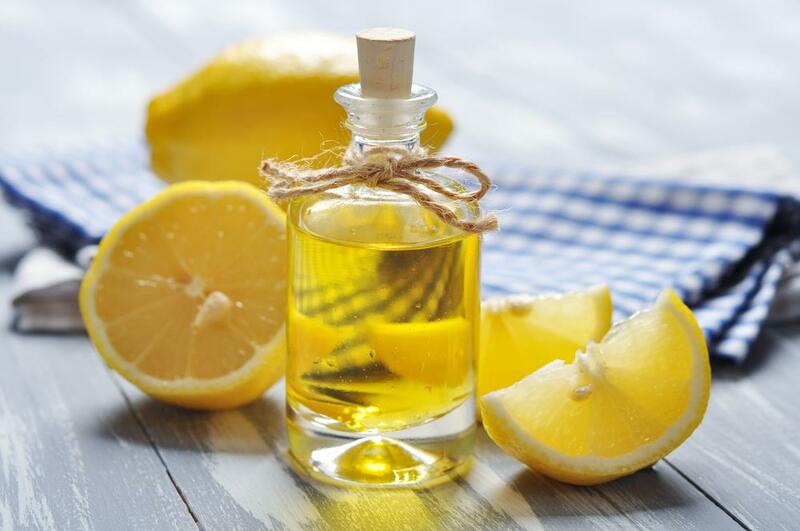 Lemon, orange oil strengthens fingernails, hair and has a firming effect on the skin. 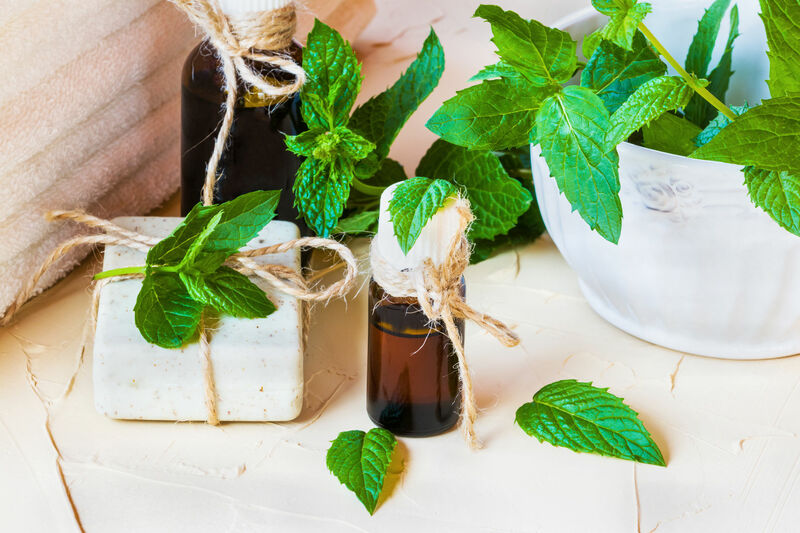 These essential oils are cleansing, anti-bacterial and reduce the pores. This promotes cleansing of the skin. 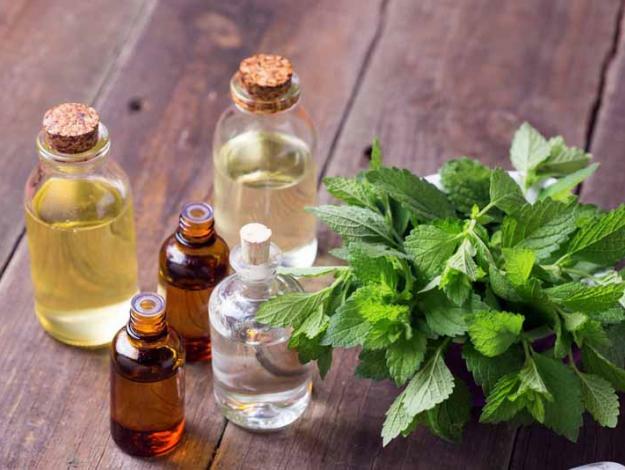 Among other things, they also work against wrinkles and can be combined with different oils. 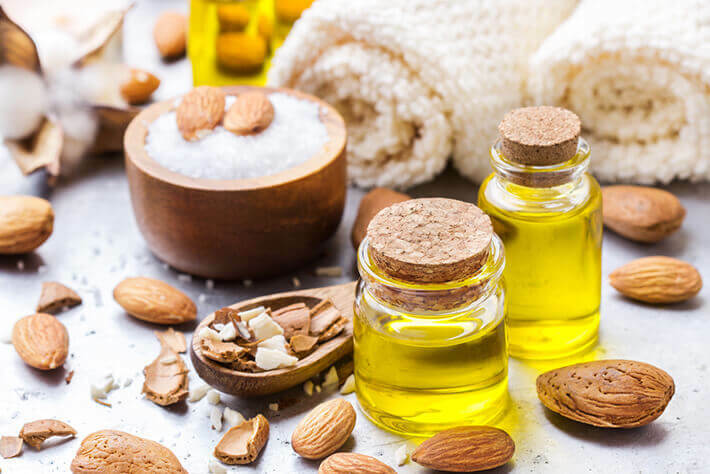 Dry, chapped skin experiences visible relaxation, the skin cells can regenerate themselves with the help of these oils. 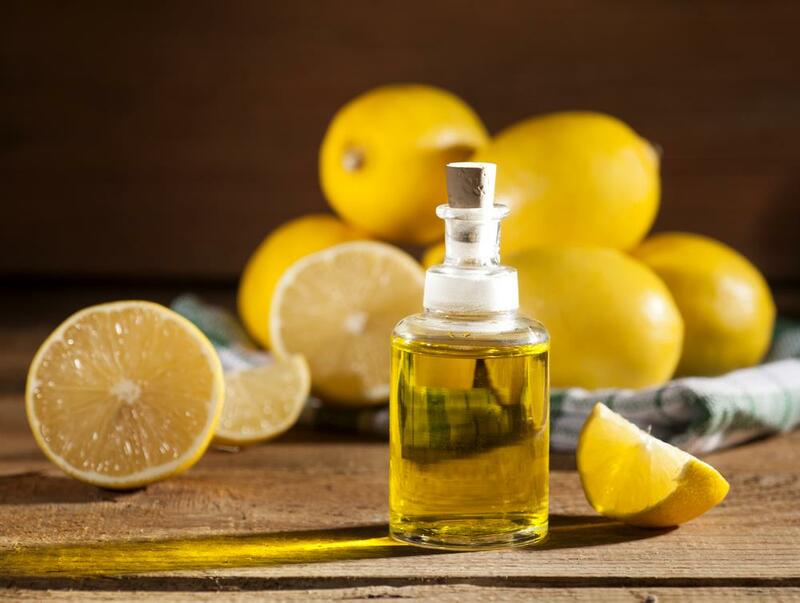 The fragrance of the lemon enhances the ability to concentrate and is an everyday mood agent. 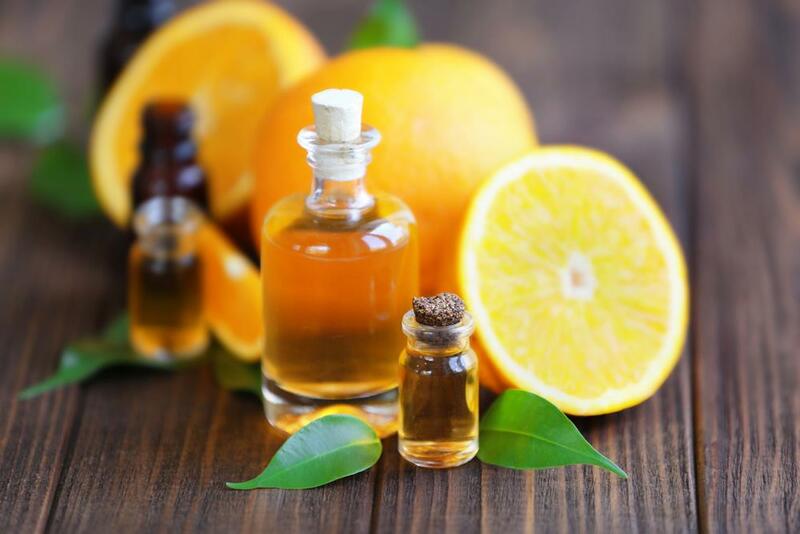 The fragrance of orange, on the other hand, is relaxing and soothing. 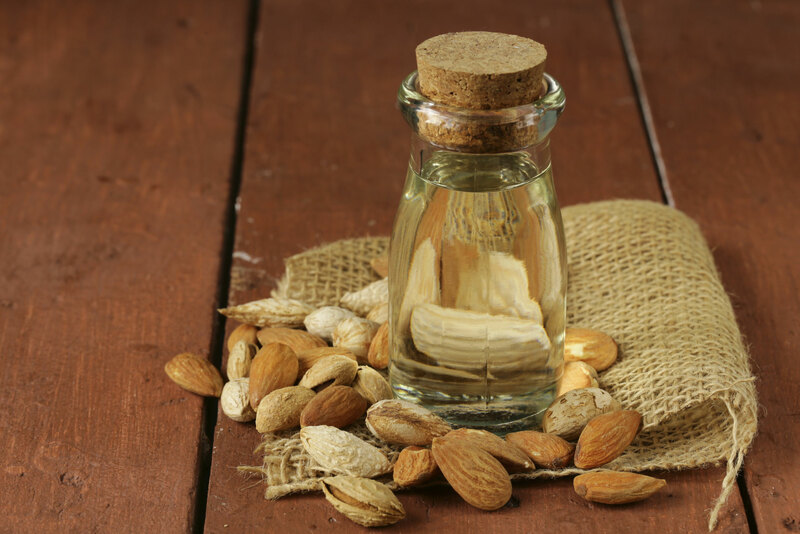 Almond oil is a mild oil, which is particularly suitable for the care of dry skin. 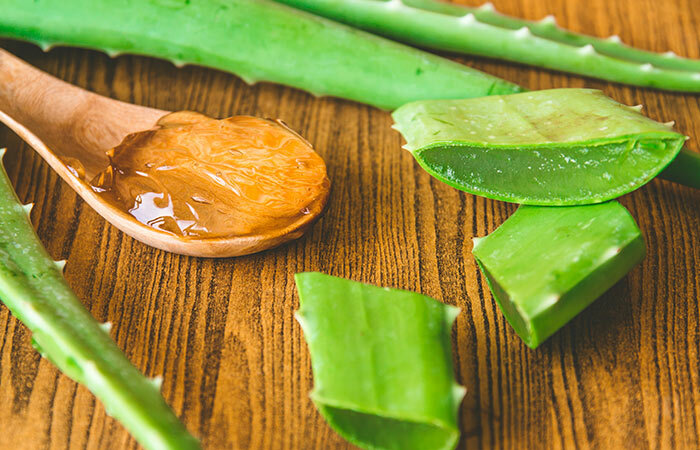 It can be used very well as day and night care for the skin. 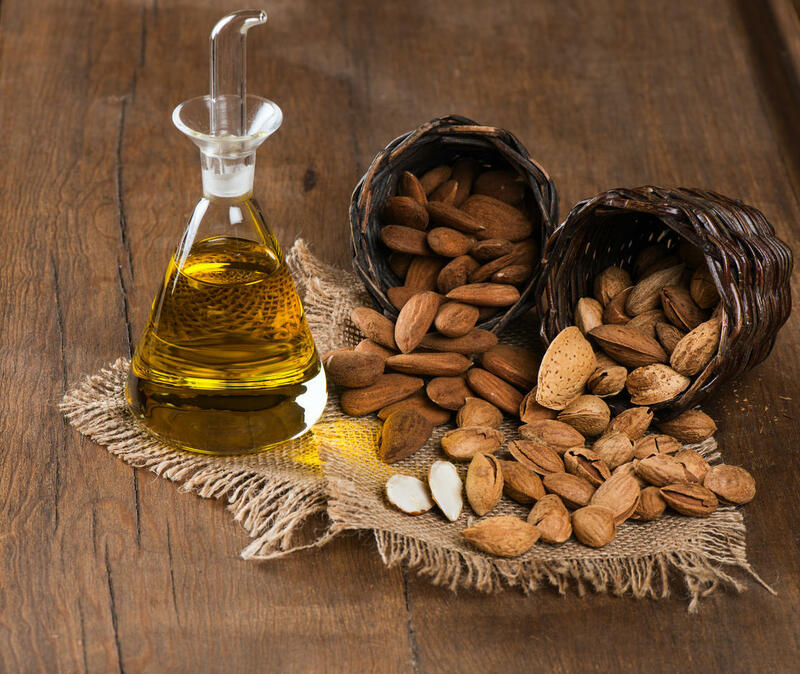 The mild oil brings minerals into the cells and provides moisture. 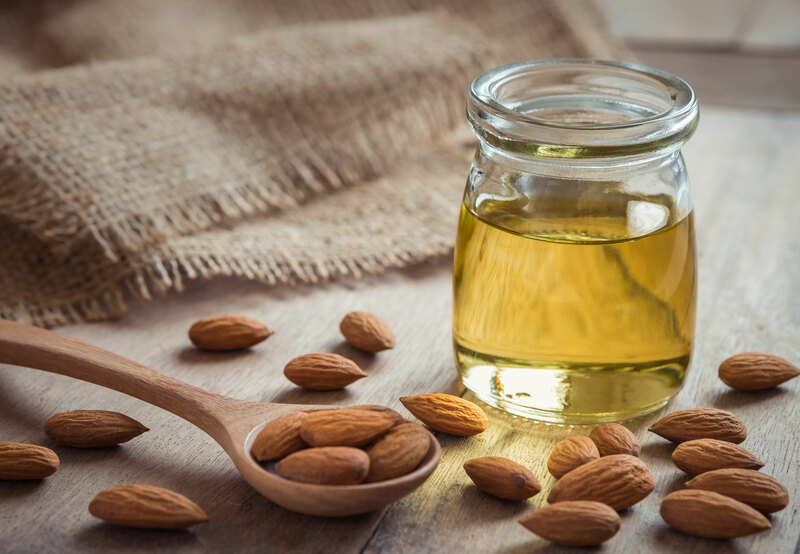 Almond oil has a cooling and soothing effect. 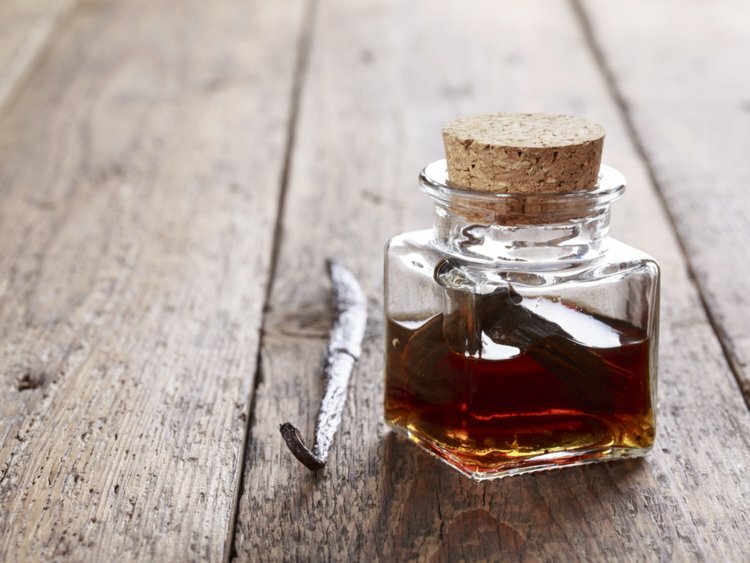 Among other things, it is especially recommended for brittle hair. 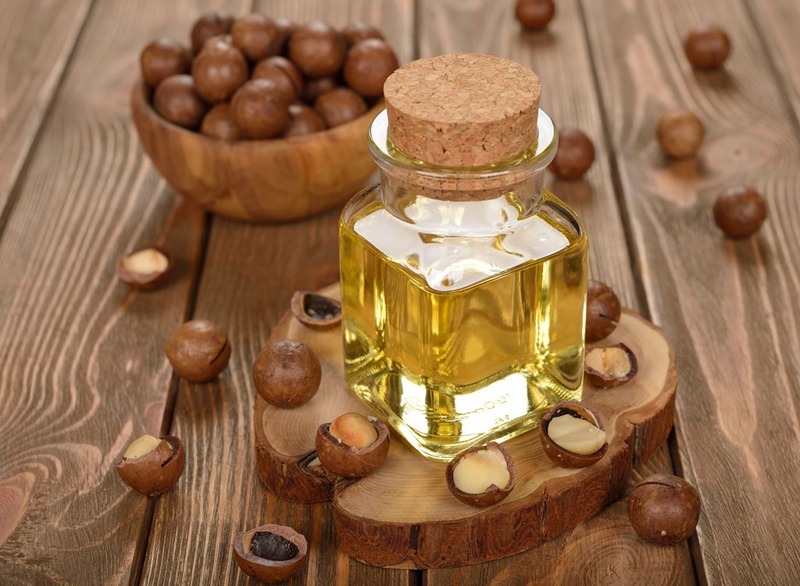 The fatty acids envelop the hair and protect it from harmful environmental influences. The hair tips are smoothed and freed the scalp of dander. 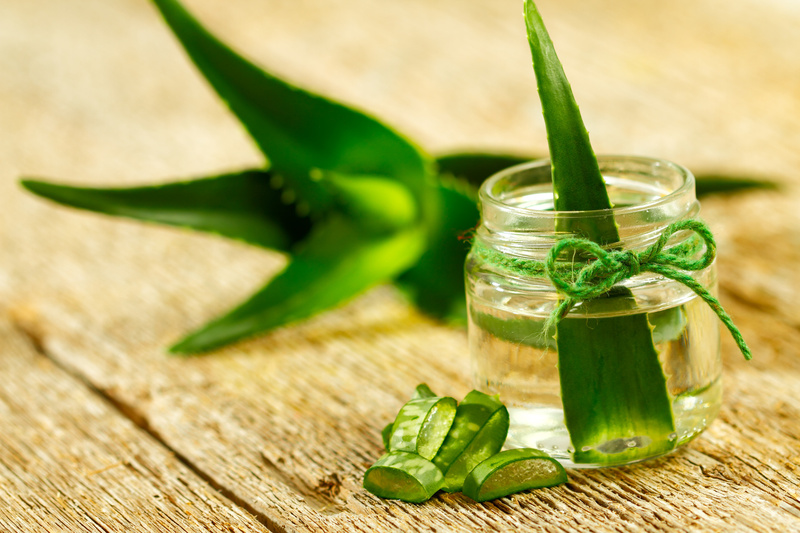 Thus, it naturally combats splitting and hair loss. 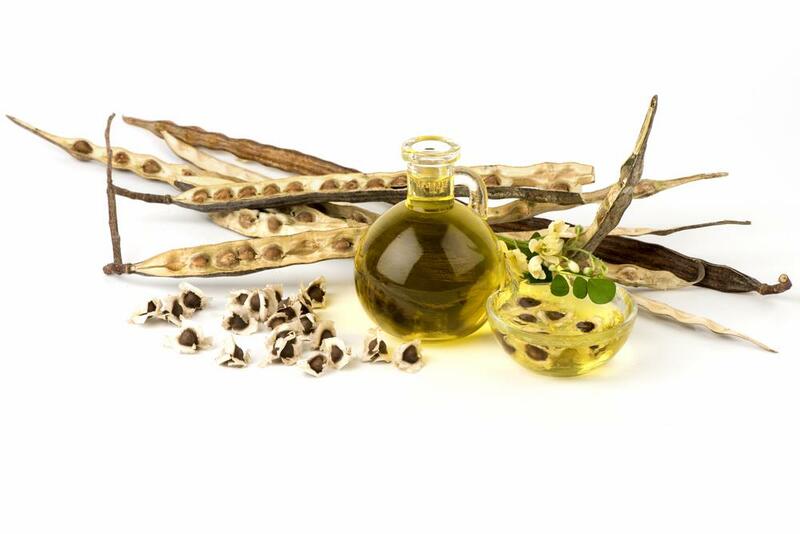 In addition, the many nutrients maintain the hair, renew the cells and promote hair growth. 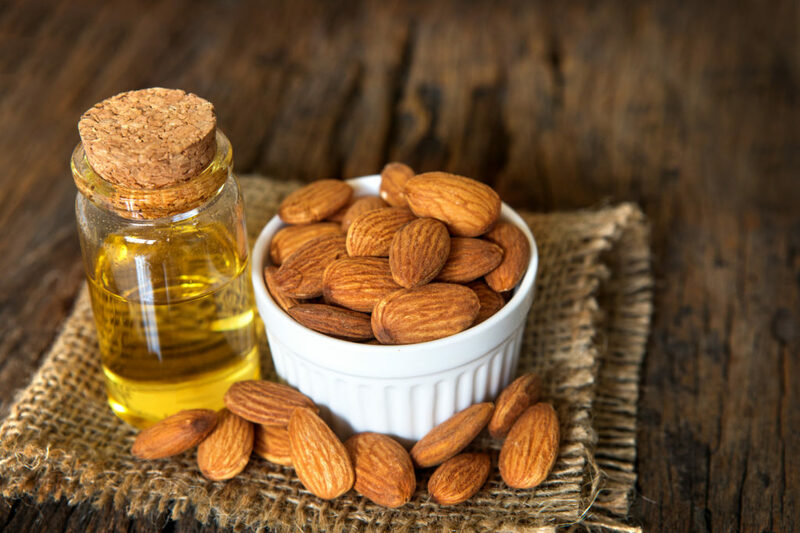 Almond oil is often used to make hair shine. 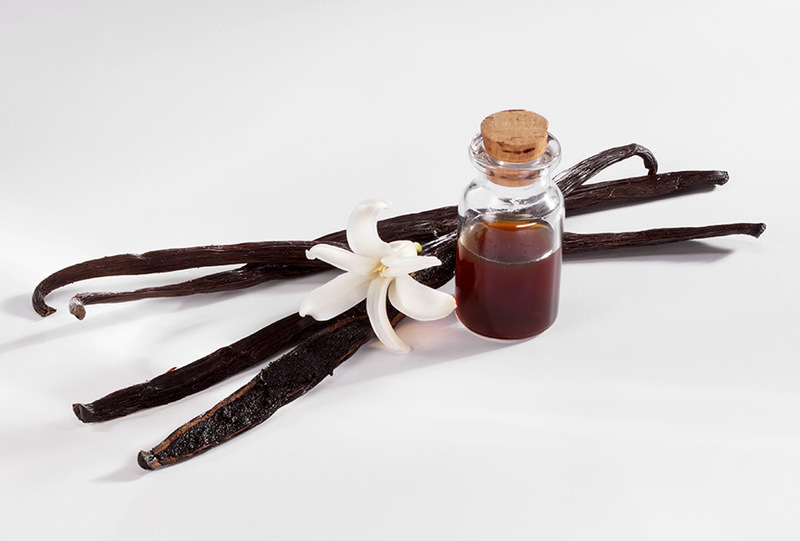 Vanilla extract is obtained by extracting vanilla pods. 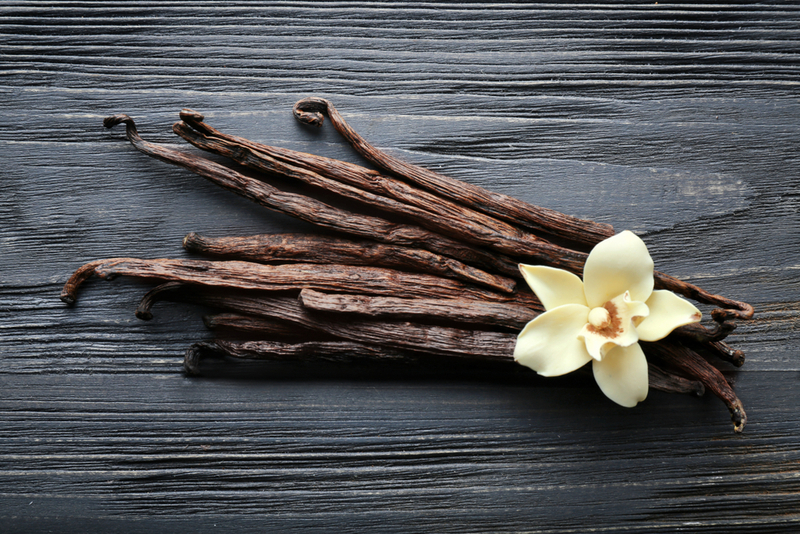 The Vanillin contained in the vanilla extract has an antibacterial effect on the skin and helps the skin to get rid of impurities. 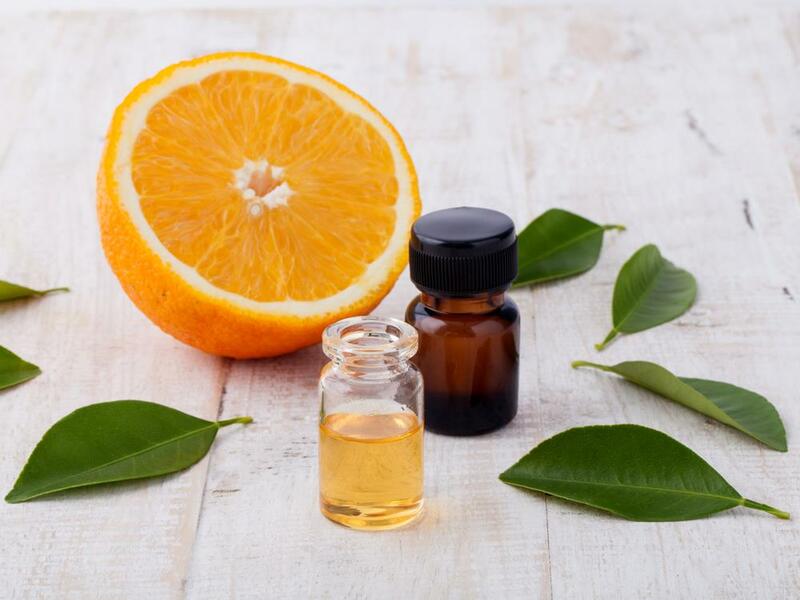 This essential oil is full of B vitamins such as vitamins B1, B3, B5 and B6, which play an important role in the regeneration of the skin and hair, which contribute to a healthy and natural complexion or supple hair. 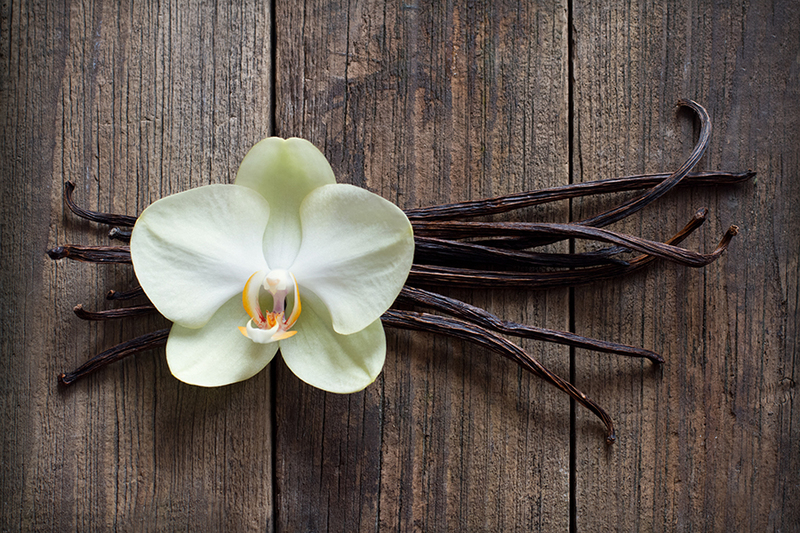 The scent of vanilla is appreciated for its soothing and relaxing effect. 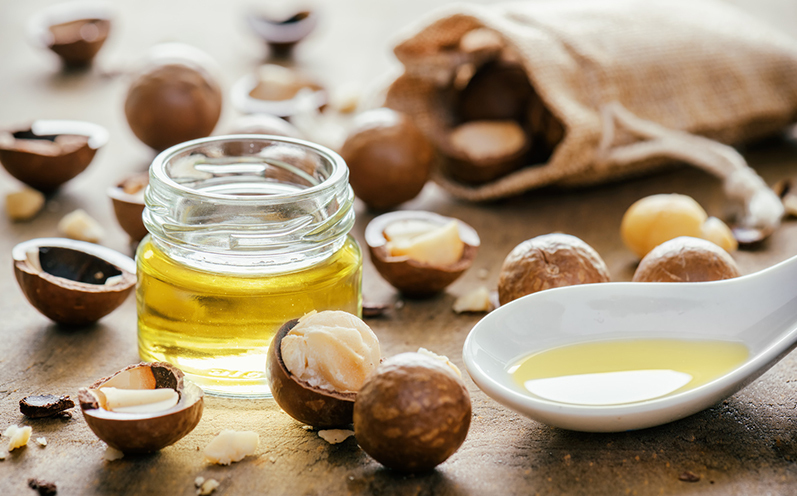 The high-quality macadamia oil is ideal as a beauty product. 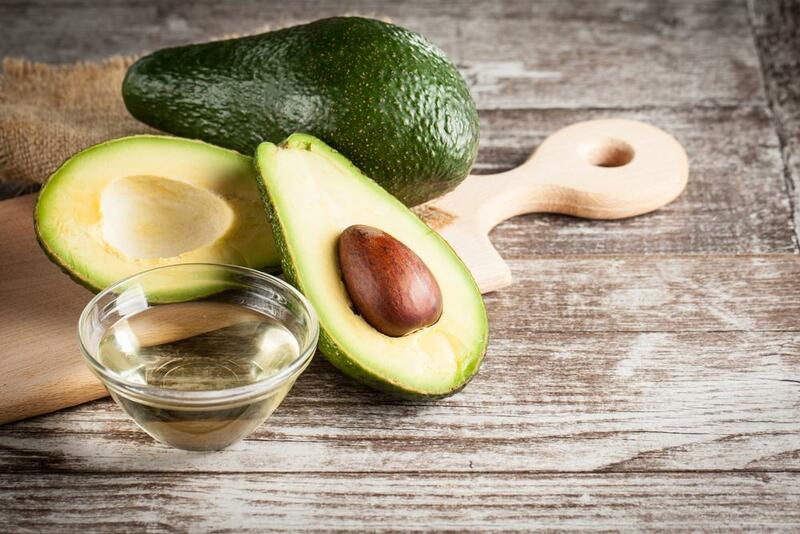 healthy fats have a positive effect on the entire human organism. 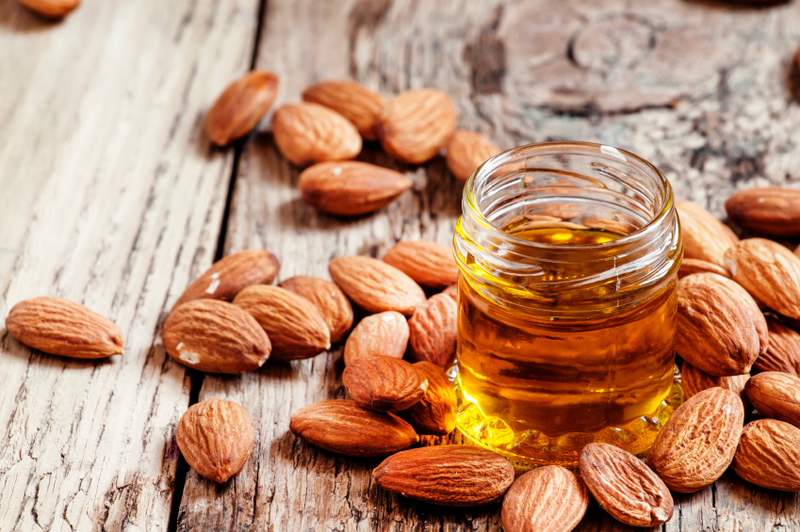 Its nourishing properties give the golden oil its status. 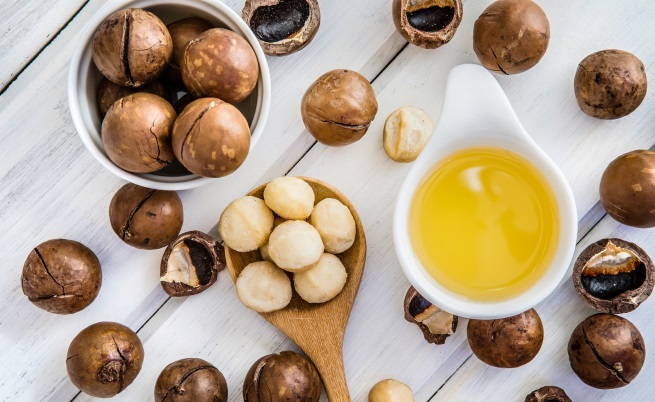 These are phosphorus, iron, sodium, vitamin B, calcium and vitamin E.
Because of these many healthy ingredients, this pure oil is so popular. Especially with dry skin and brittle/split hair. 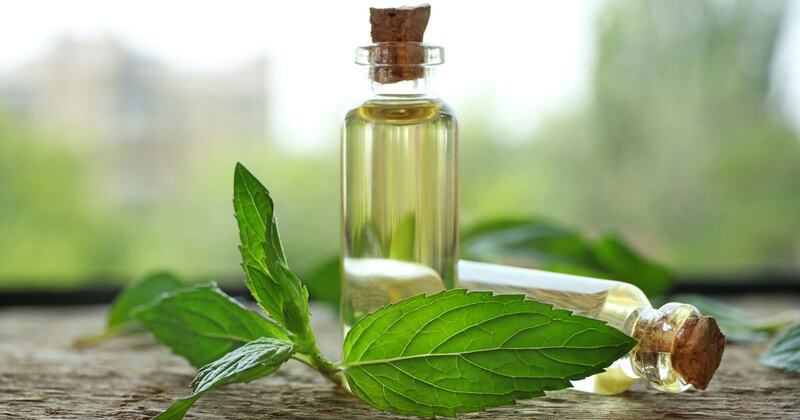 is retained in the skin and hair and which also does not penetrate to the outside. 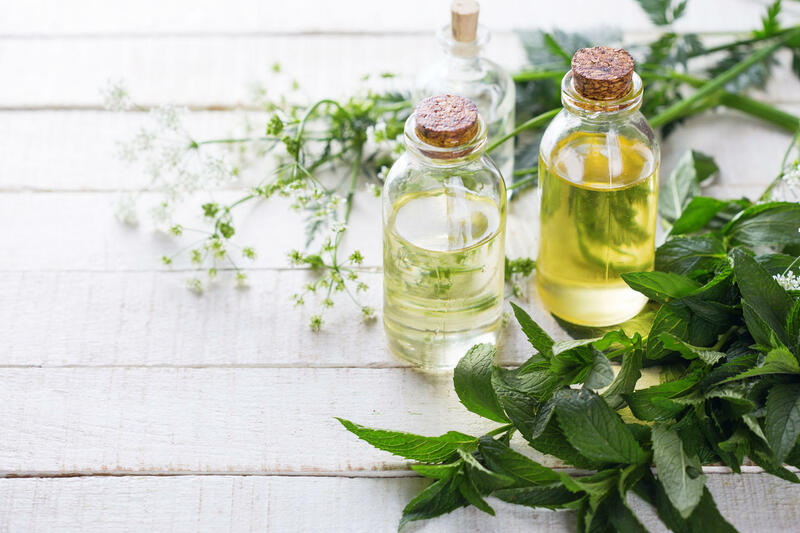 Caring oil penetrates quickly into the skin or hair. These are not only smoothed, but get their natural shine. 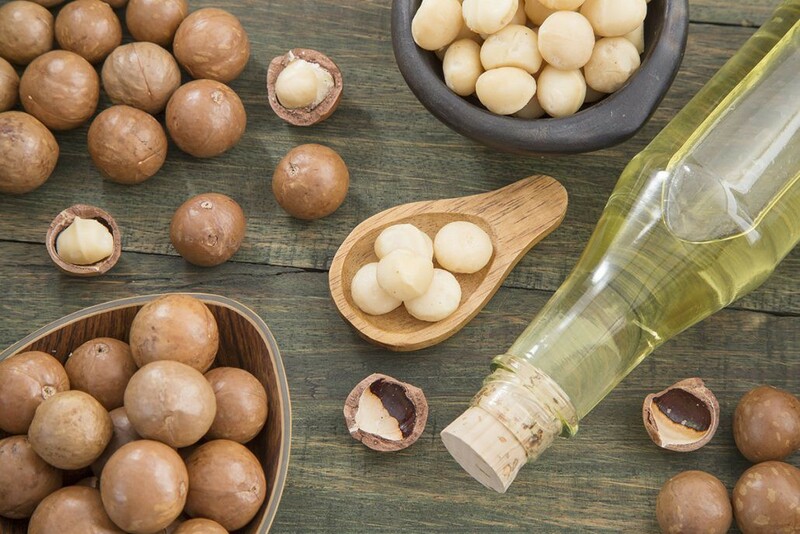 In this way, the macadamia oil regulates the moisture balance of the skin and hair. with their natural splendor and they bounce back again. 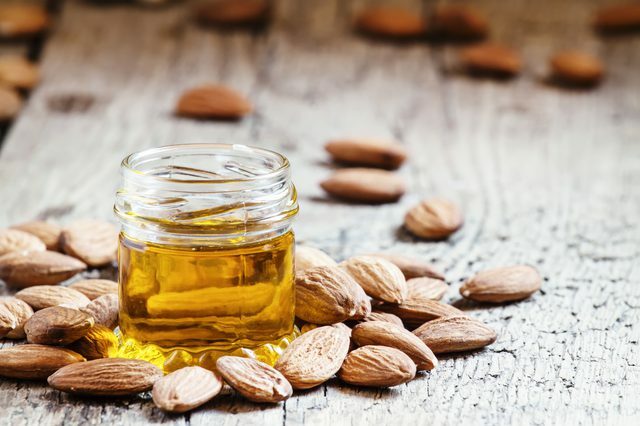 Of course, the special oil can also work well with normal skin. 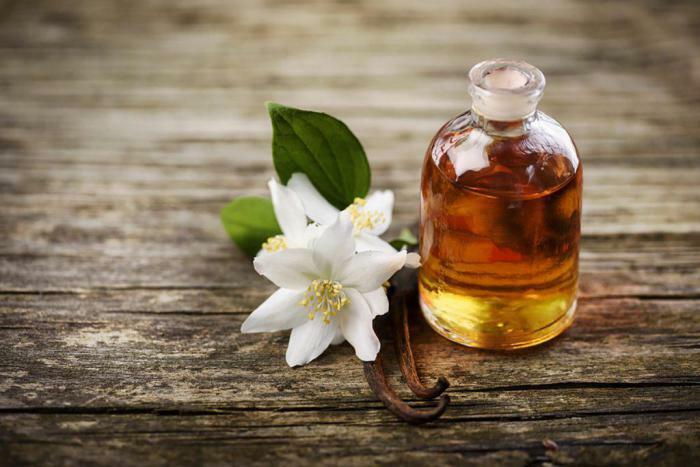 Because of its excellent properties, this valuable oil is also called the ideal massage oil. look forward to shiny hair and shimmering skin. 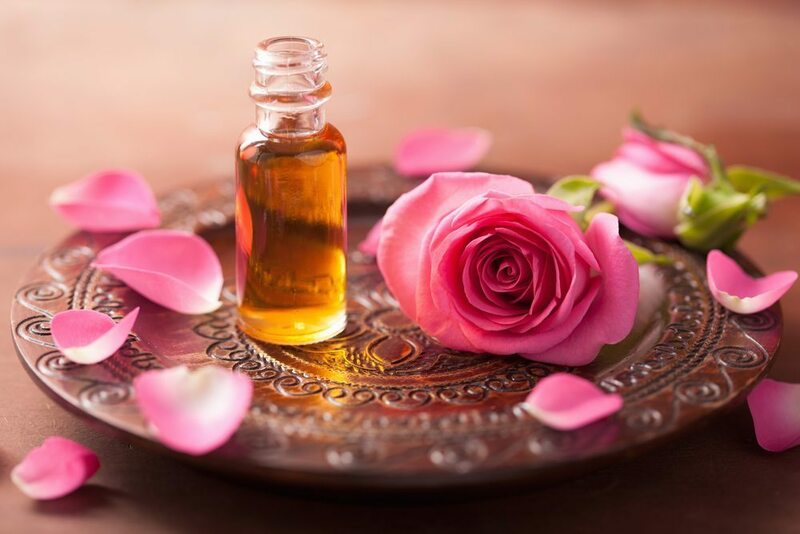 The scent of rose oil is for most people on an emotional level soothing and beneficial to health. Because it contains vitamins A and C, omega 6 an omega 9 fatty acids, beta carotene an lycopene. 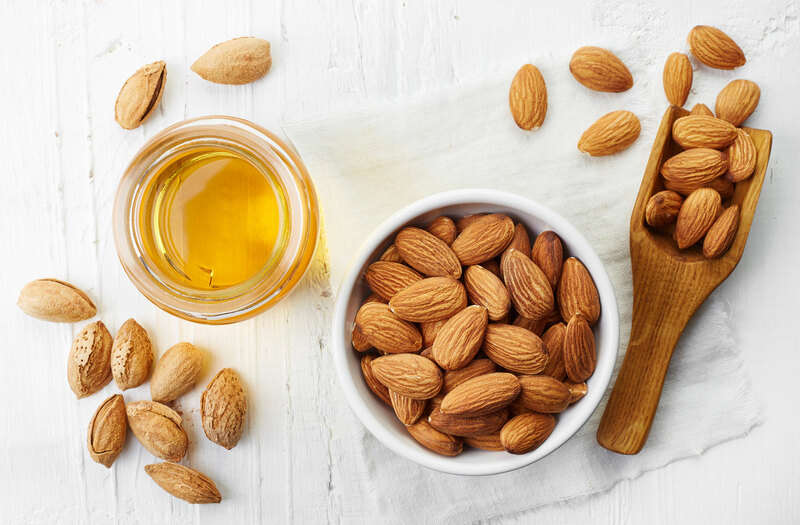 These ingredients are all good antioxidants and help to repair skin damage as much as possible. 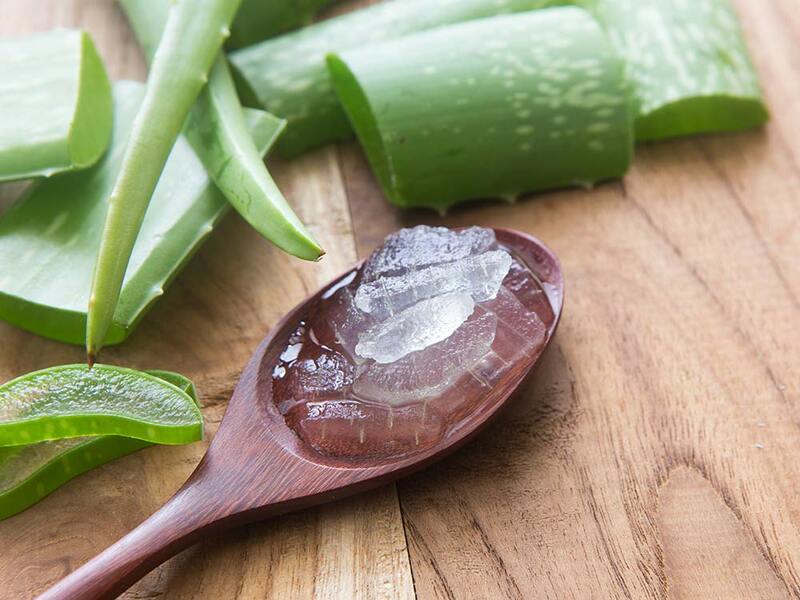 cell regeneration and soothes skin irritations. 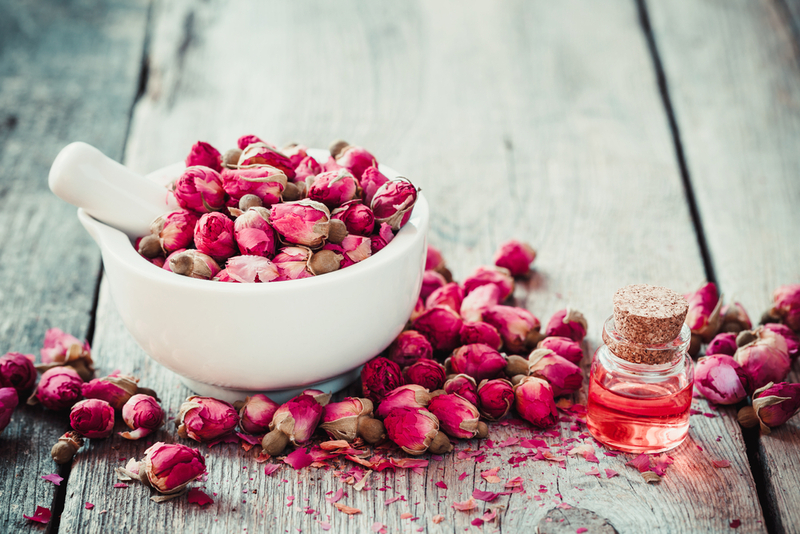 Every skin type can use the preious rose oil. and also the resilience of the skin and compensates for moisture deficits. Of course the hair can benefit too, because the hair is supplied with a lot of moisture. 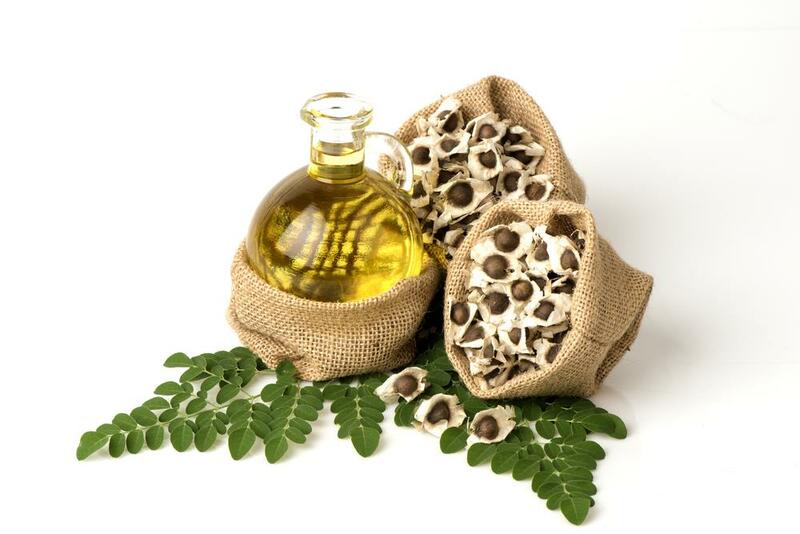 Dry and brittle hair, after a treatment with the essential oil, quickly become brighter and healthier again. throughout the day, which verifiably enhances our well-being. 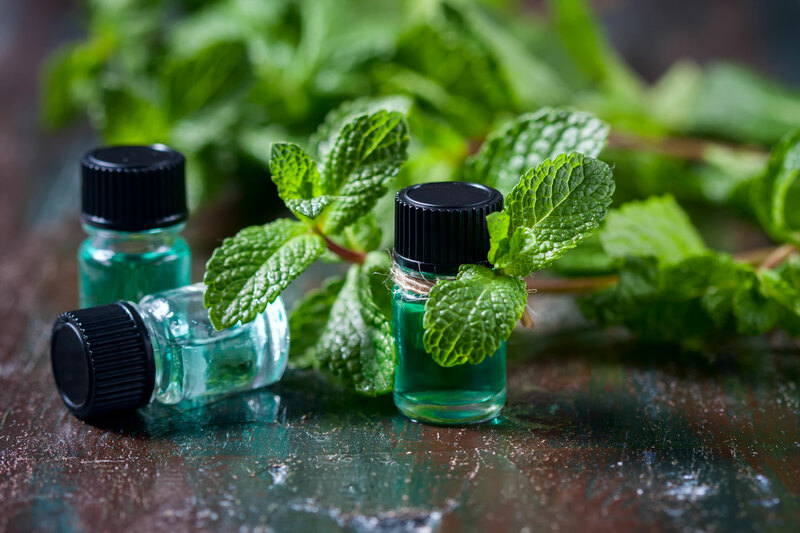 essential oils of certain plants, from where the mint can be obtained. The best known of these is of course the peppermint. 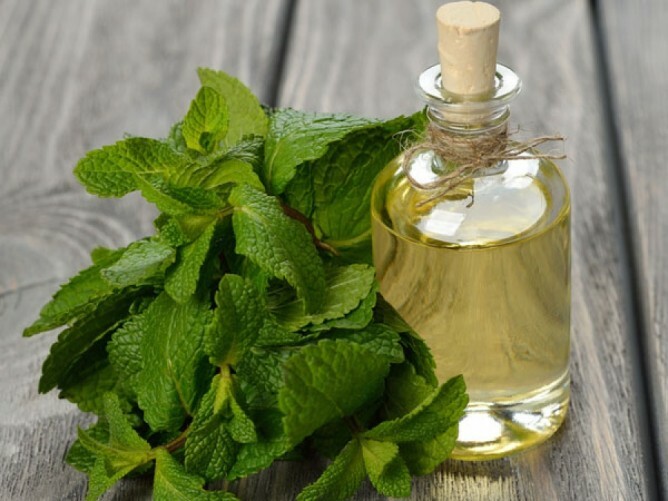 This aromatic oil nurturing effectiveness for hair growth. 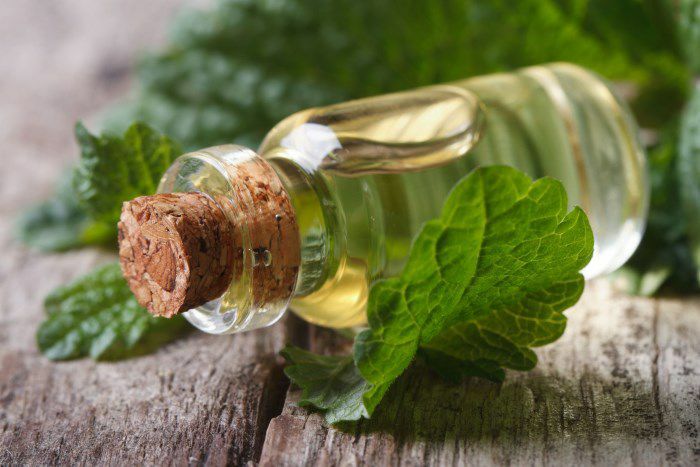 capable of hair follicles, thus promoting hair growth or beard growth. 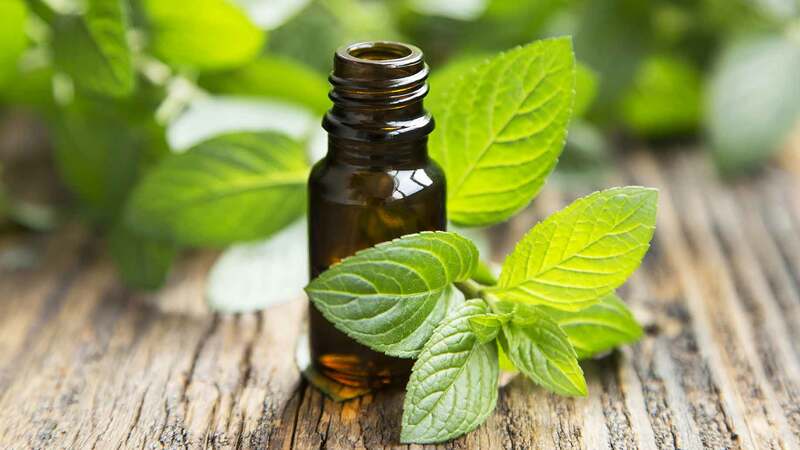 The effect is due to the menthol contained in the essential oil. restoring and caring the health of the human organism. 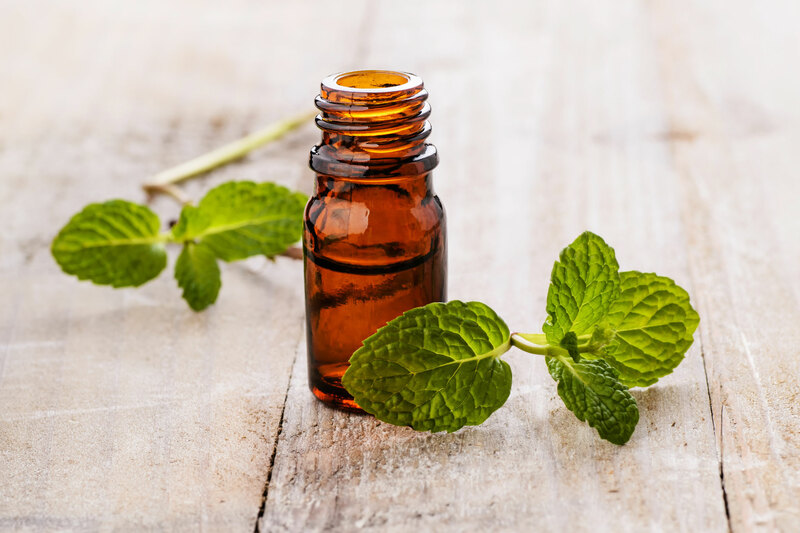 reduces irritation and itching effectively. fatigue and increases the ability to concentrate. 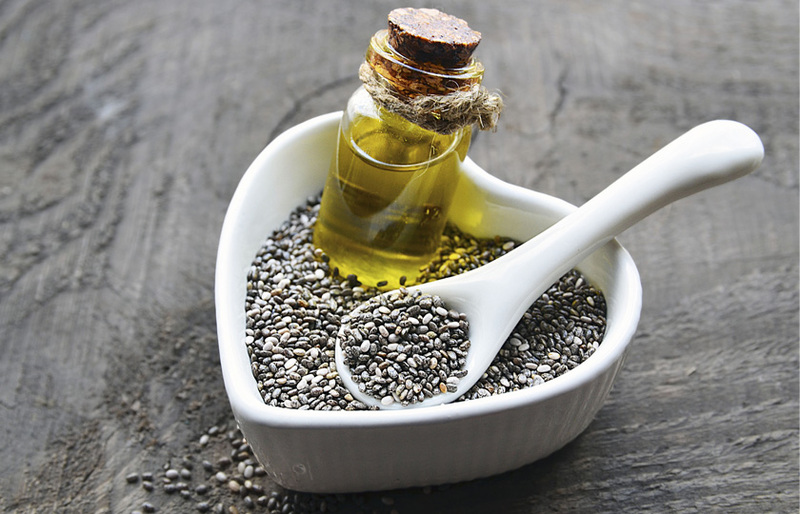 The effect of the Chia oil on the beauty is hard to miss. 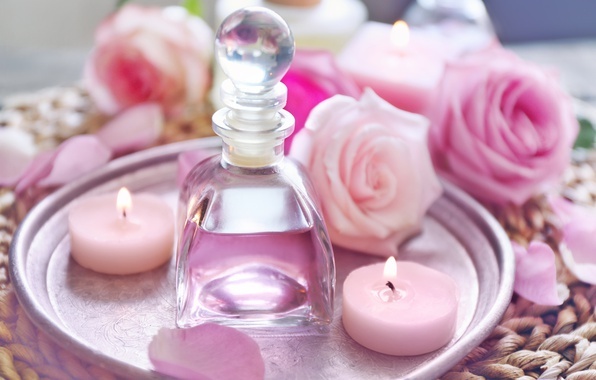 at the same time protect against the negative influences. 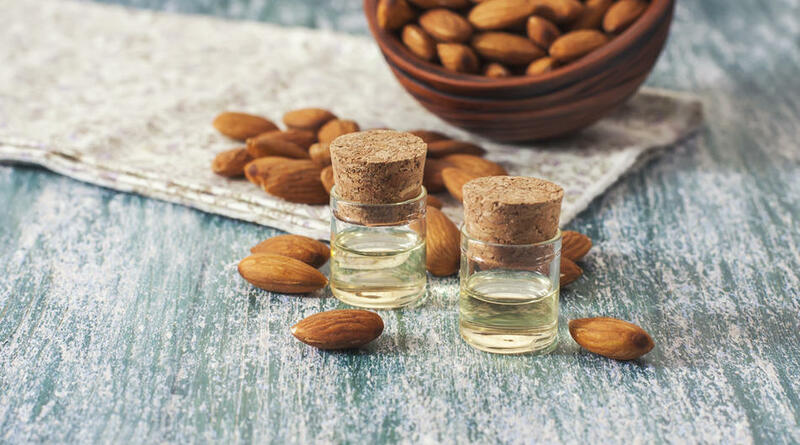 look forward to a firmer skin, fuller hair - beard and firm nails. 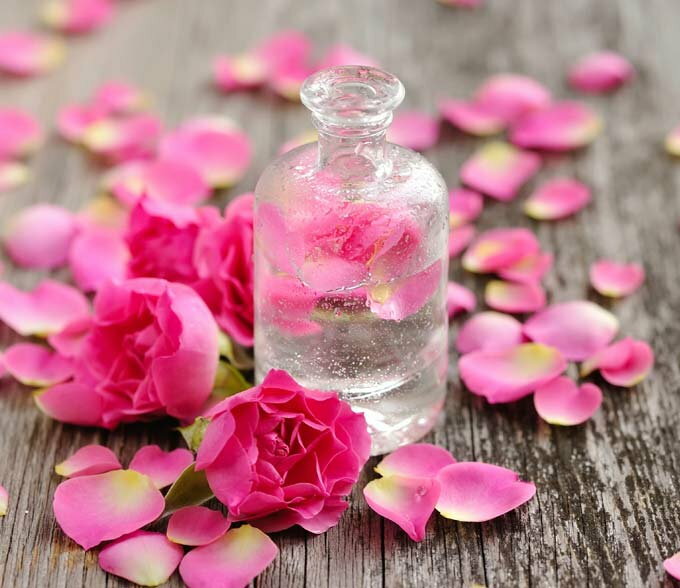 micronutrients that serve the beauty of beauty. 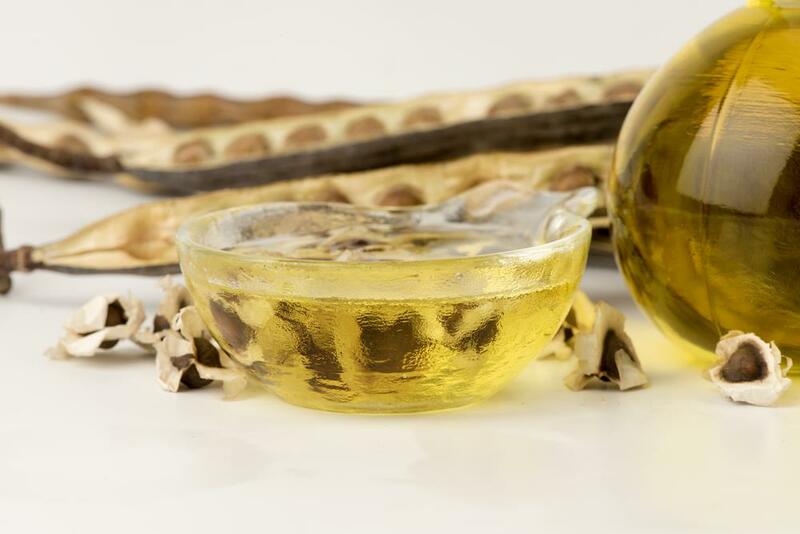 the highest omega-3 fatty acid content that can be obtained from plant-derived raw materials. 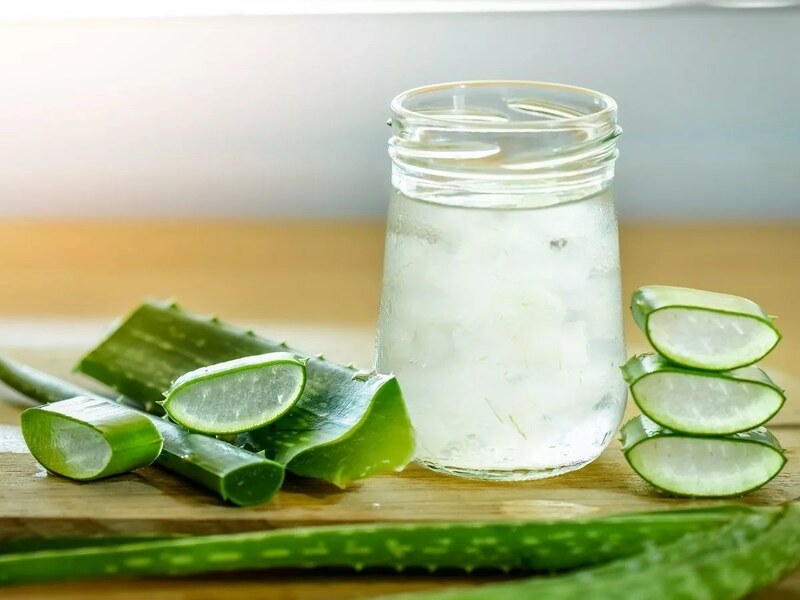 Prevent chronic inflammatory processes and cure for optimal hydration. 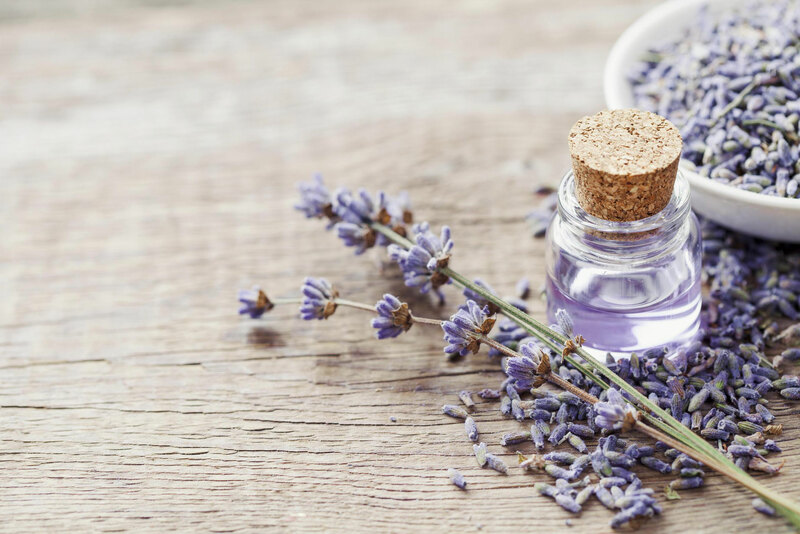 as they often occur in stressed skin (razor burn), wisely weakened. 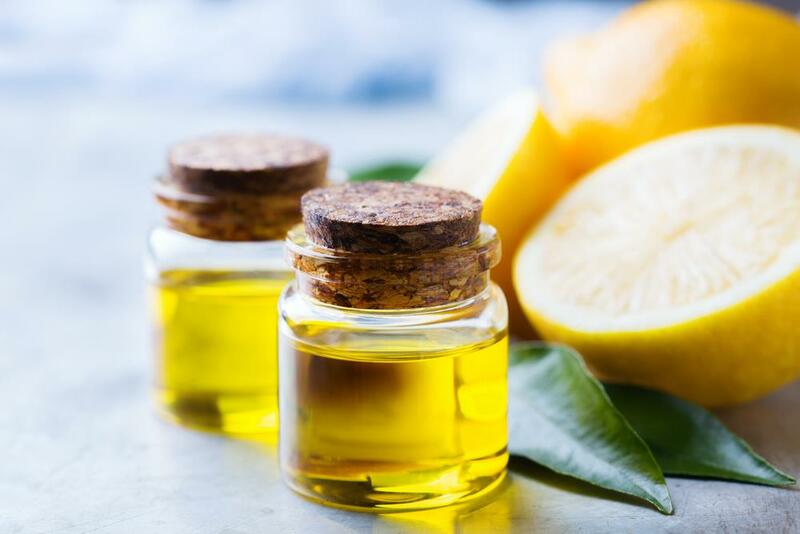 no oil at all, but rather a liquid vegetable wax, which is extracted from the nut-like seeds of the jojoba shrub. 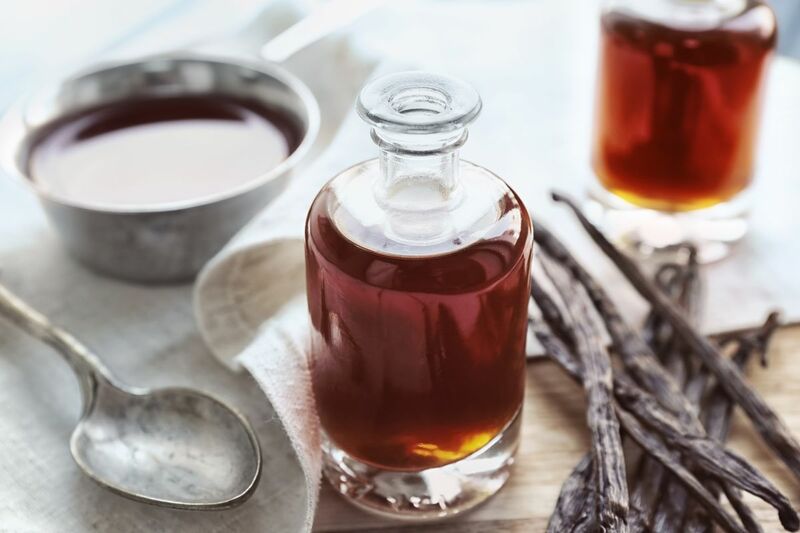 forming collagen in the skin and contributes to firmer skin and shiny hair. 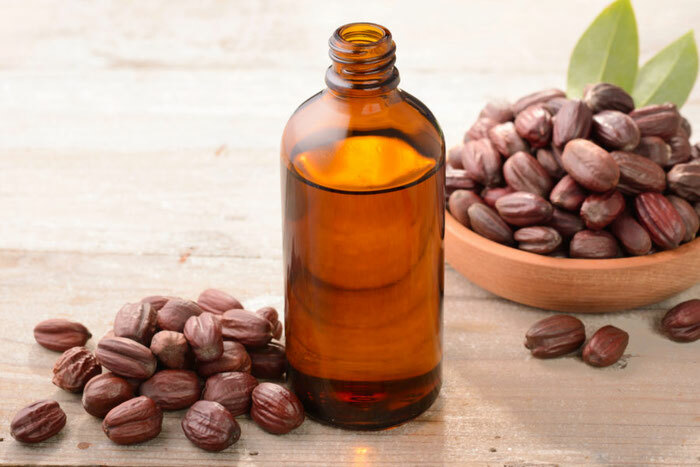 Due to the phenomenal combination of the contents, jojoba oil is the perfect care for your skin and hair. 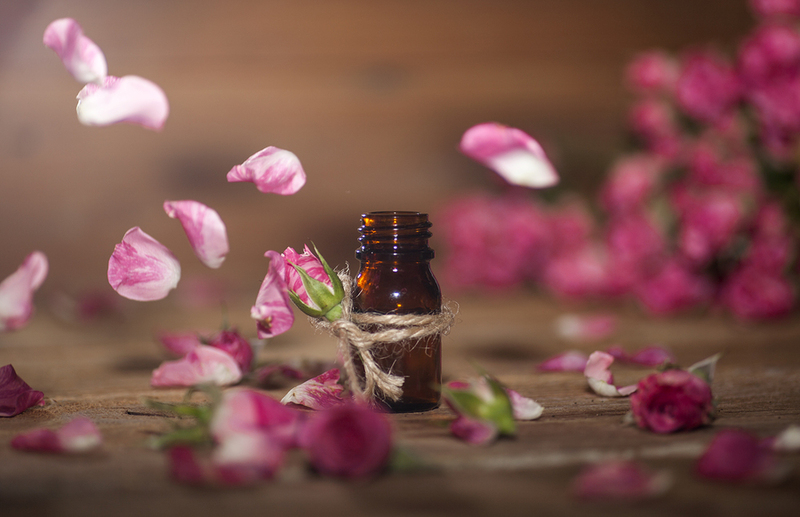 properties and is additionally a healing effect. 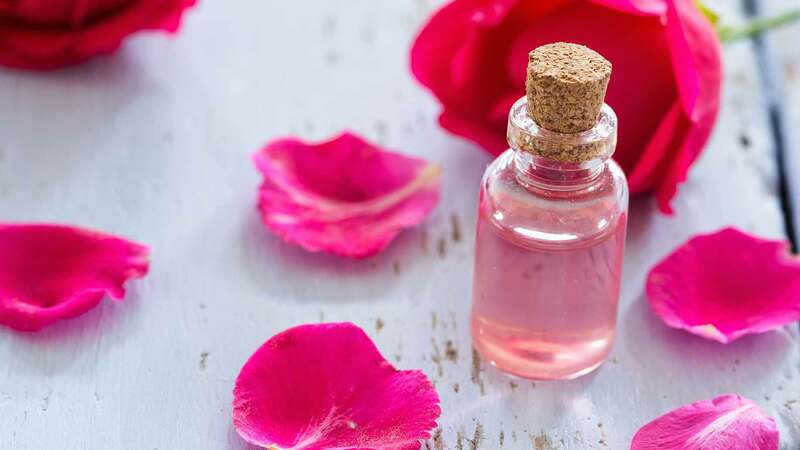 however, it does have the ability to do so to ally with human sebum. also attributed to antibacterial effect. The compatibility is extremely good across all skin types and impresses excellently with dry skin. 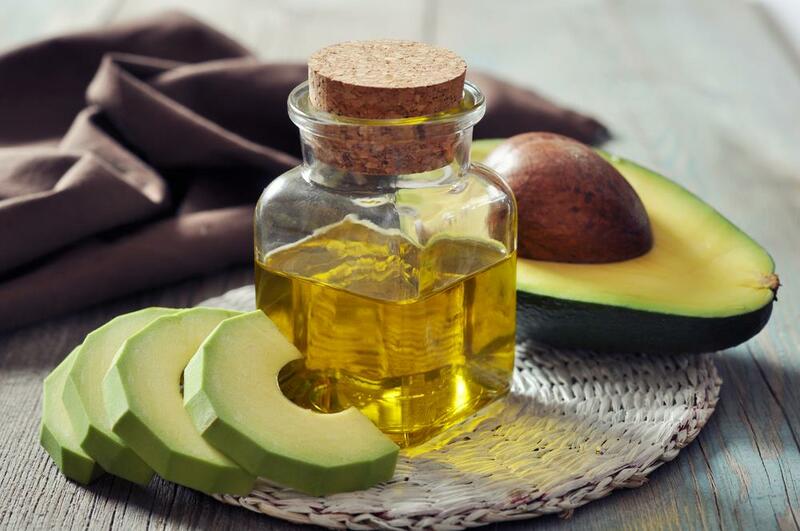 In addition, the extraordinary oil on the skin acts like the same for the hair. 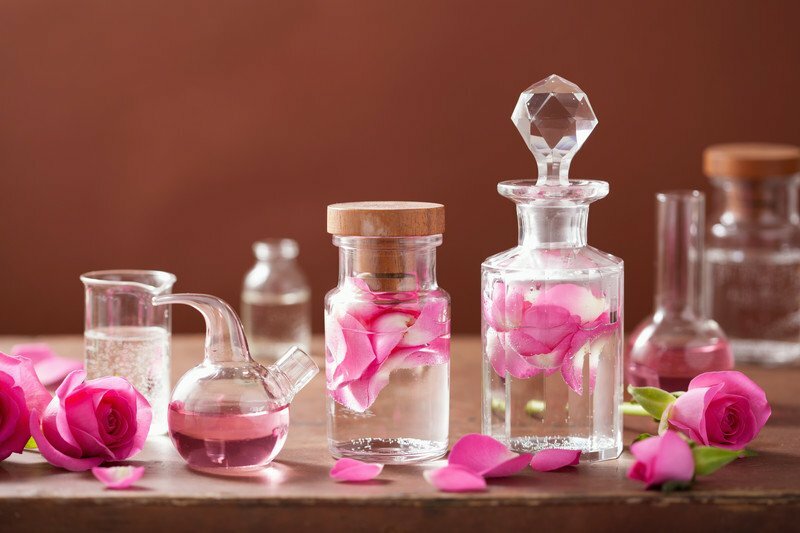 The positive effect on hair has been known since the 18th century. dandruff infestation and prevents split ends. hair is strengthened from the inside out and can be repaired instead of being covered as usual. special medicinal plant with a very wide field of action. 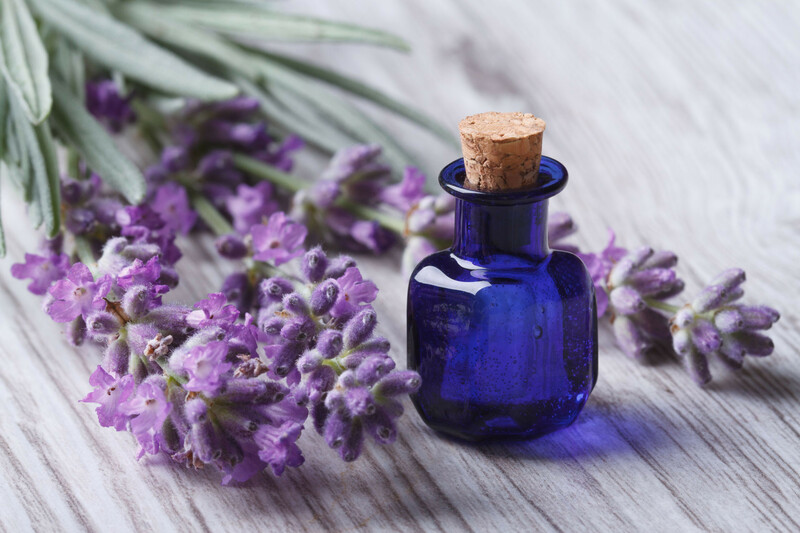 Essential lavender oil is distilled from the pretty purple flowers of the lavender plant. 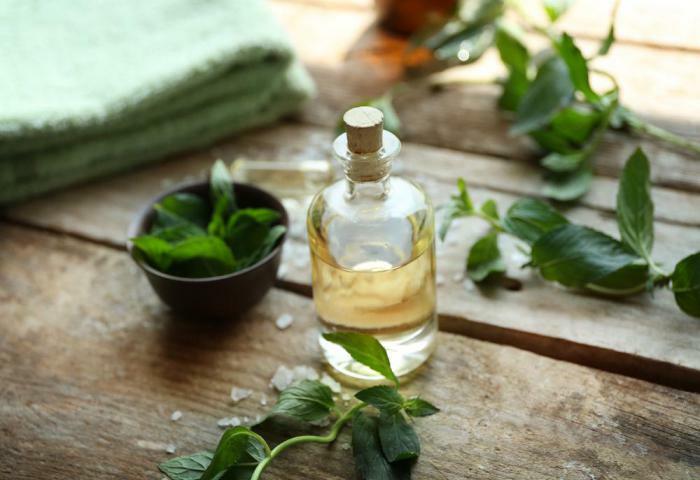 it has soothing, cleansing properties and can rid skin - hair of toxins. The skin cells - accelerates the healing process of the skin - inhibits inflammation - has a disinfecting effect. 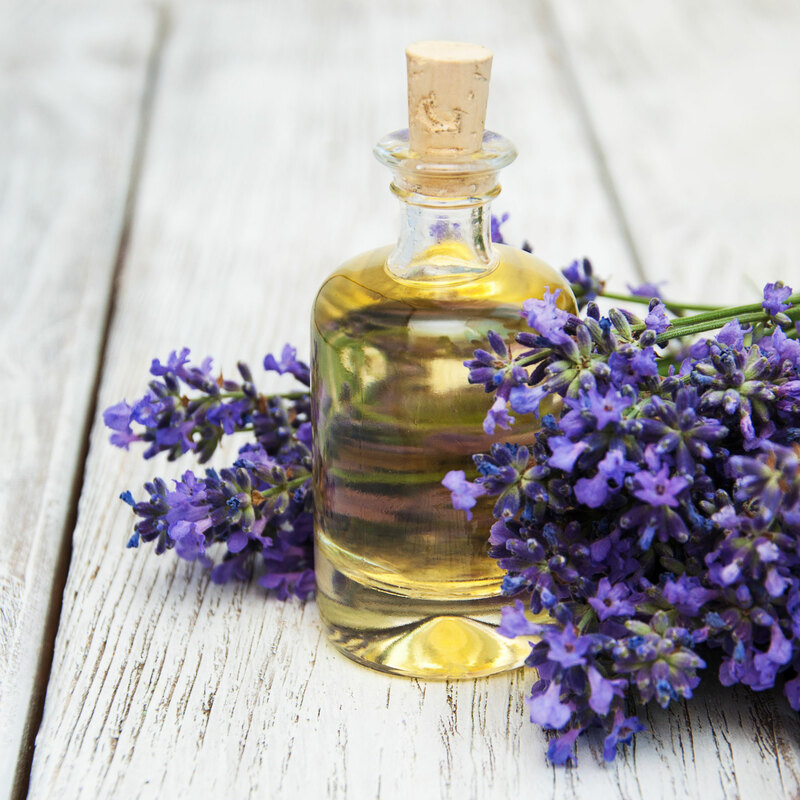 Due to the high content of camphor, the skin is more perfused when applying lavender oil. 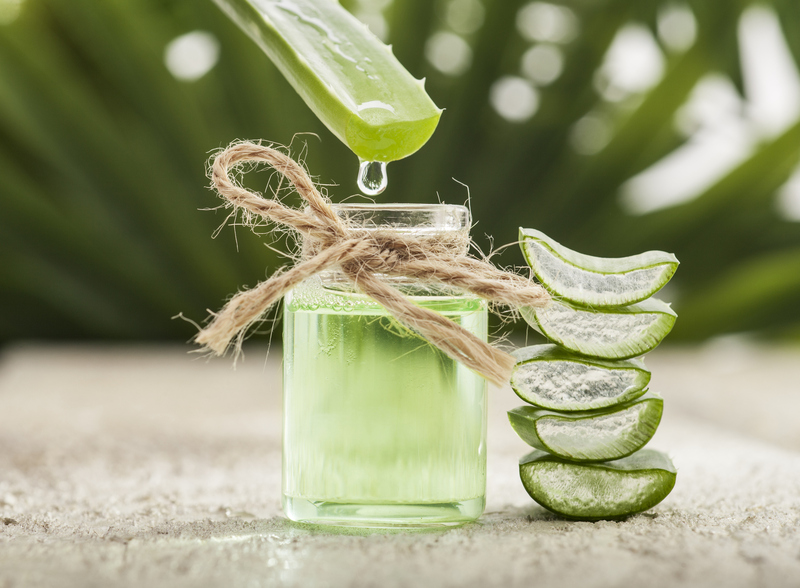 This promotes self-healing - new formation of cells in the skin. 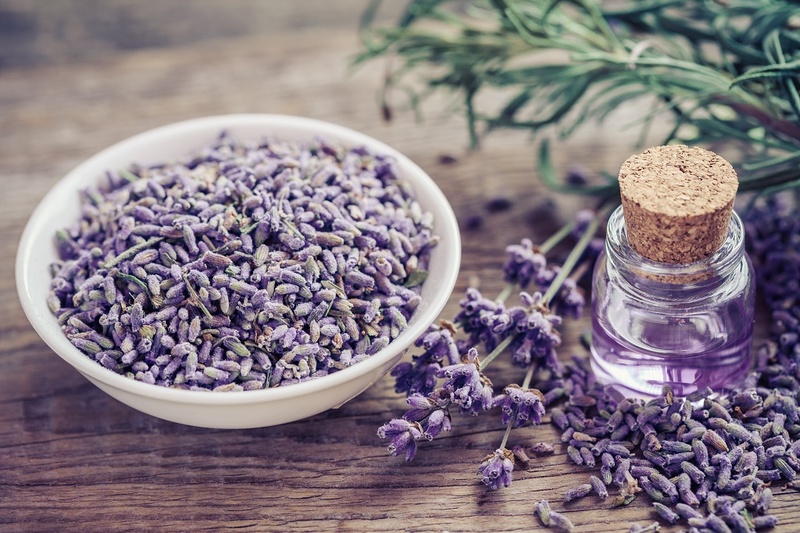 One of the benefits of lavender oil is its antibacterial properties. 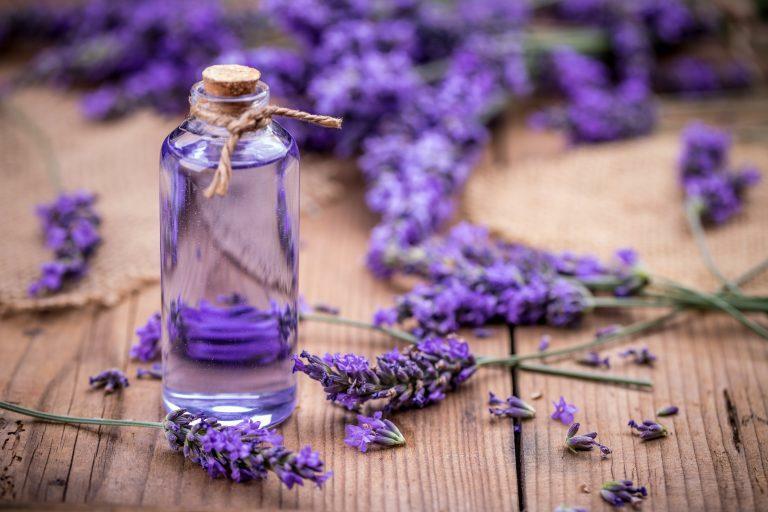 After all, the linalool contained in lavender oil plays a decisive role here. just more mature skin and give it a better color. 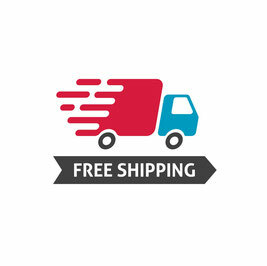 to a considerable extent for hair care. It is perfect for every skin and hair type. 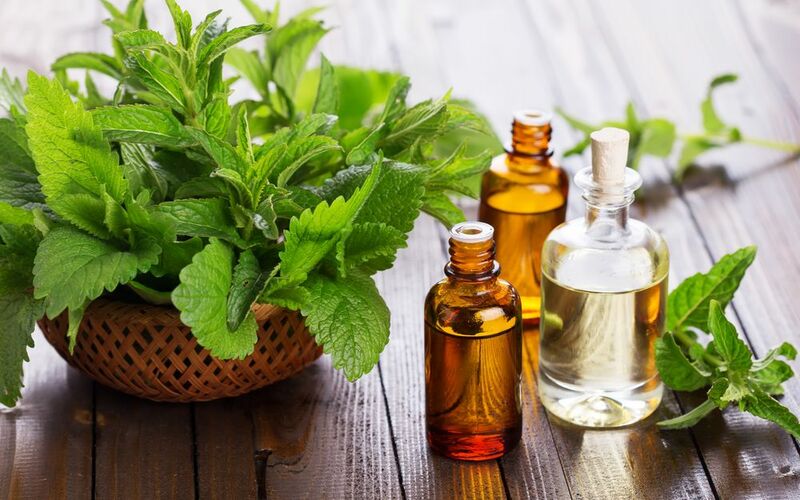 oldest and meanwhile also to the most well-known medicinal plants of the earth. unique plant in nature can live for months without rain, because the leaves store enormous amounts of water. 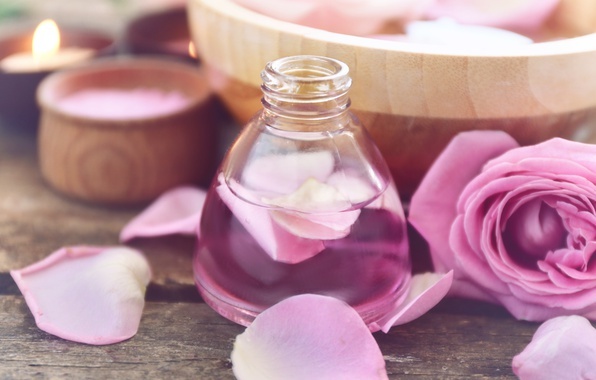 in addition, this has many other healing effects of which only a few know. Externally, she appears rather inconspicuous - with her prickly leaves and the pale yellow flower. 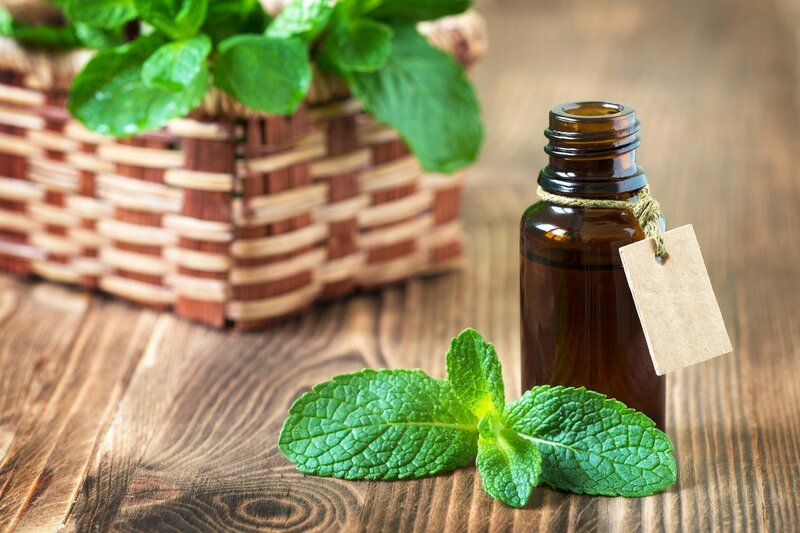 healing power for the human organism was already known in ancient Egypt. 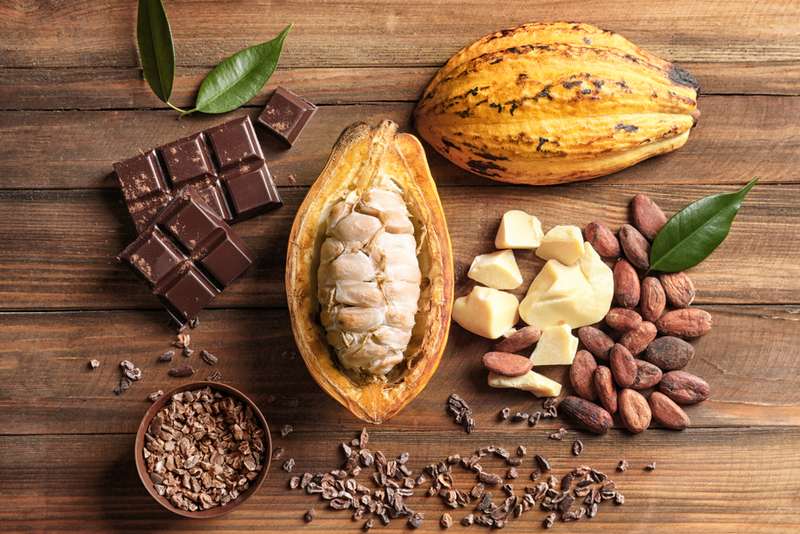 important minerals such as calcium, magnesium, zinc, selenium, iron and manganese. A, C, E, B1, 2, 3, 6 and finally B12, which our body needs for the production of red blood cells. 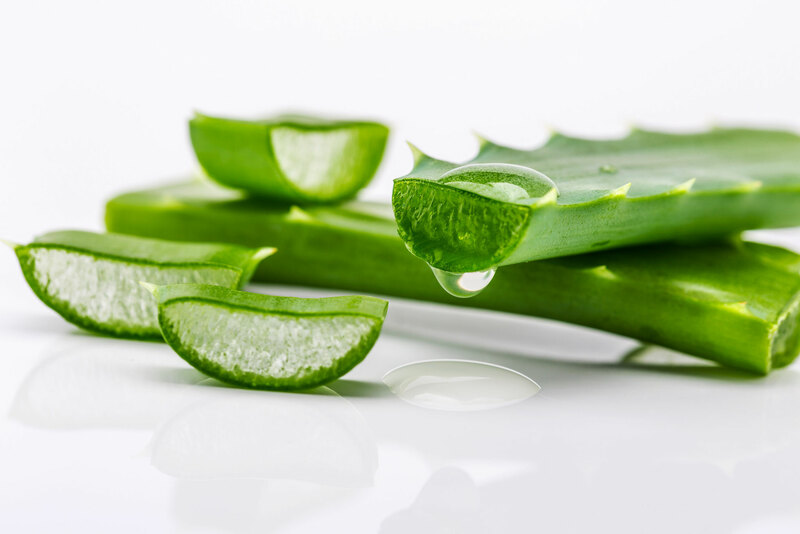 of aloe vera gel, the so-called aloverose, a mucopolysaccharide (slimy multiple sugar). 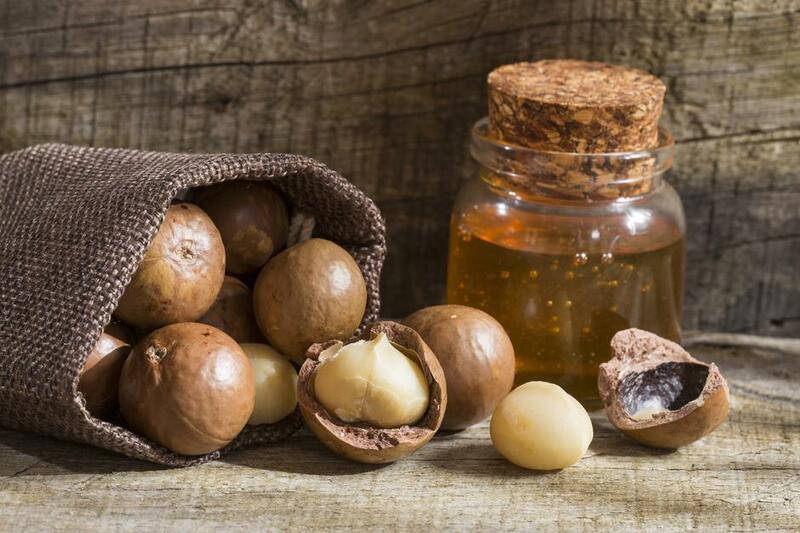 For this reason, it is said to have a detoxifying and cleansing effect on the body. Dry - brittle - splitted hair is difficult to care for. 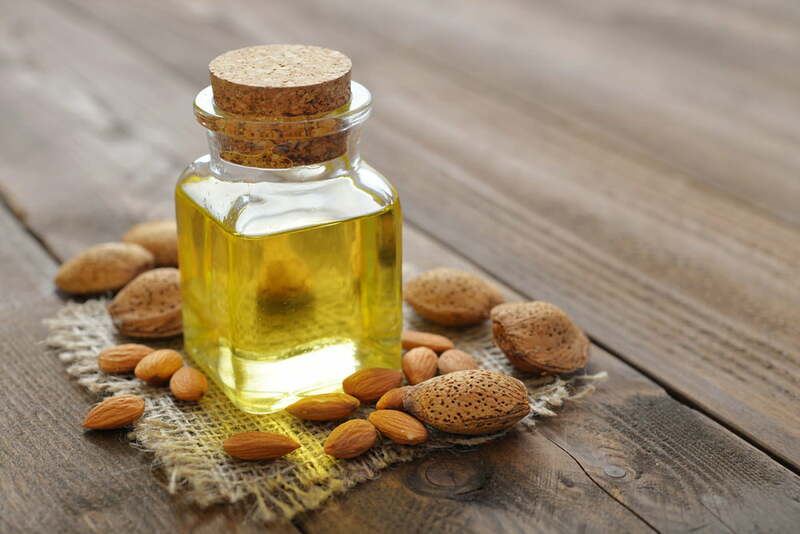 moisture back, it also makes the hair thanks to its high content of vitamin E again supple. 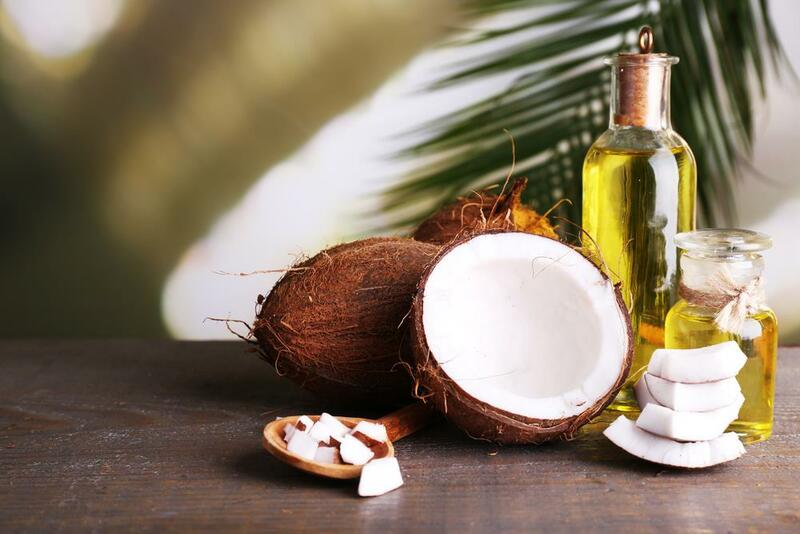 In addition, it eliminates dandruff and stimulates hair growth. due to the fact that the moisture penetrates deep into the horny layer - there is additionally stored. 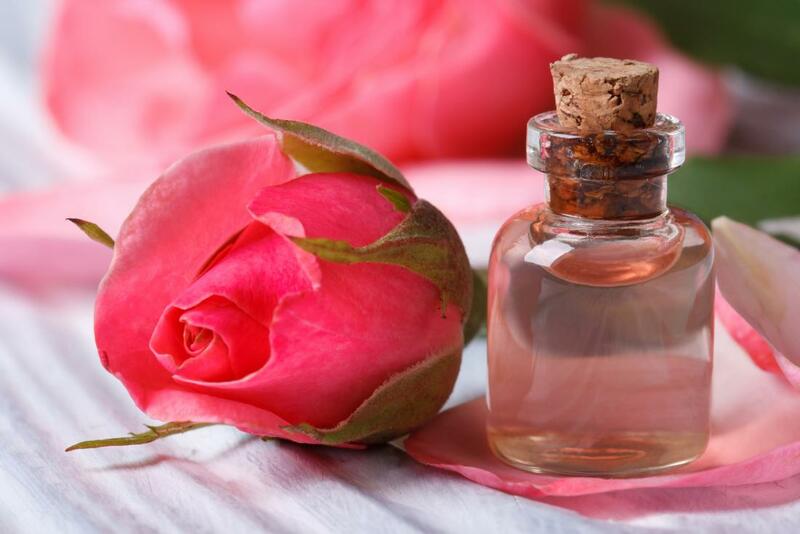 at the same time dryness wrinkles in an instant. Increased supportive collagen - elastin fibers are produced. 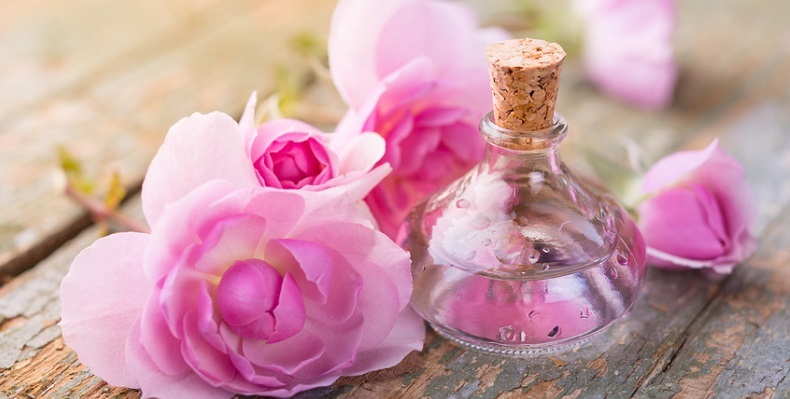 As a result, mature skin becomes firmer again over time. 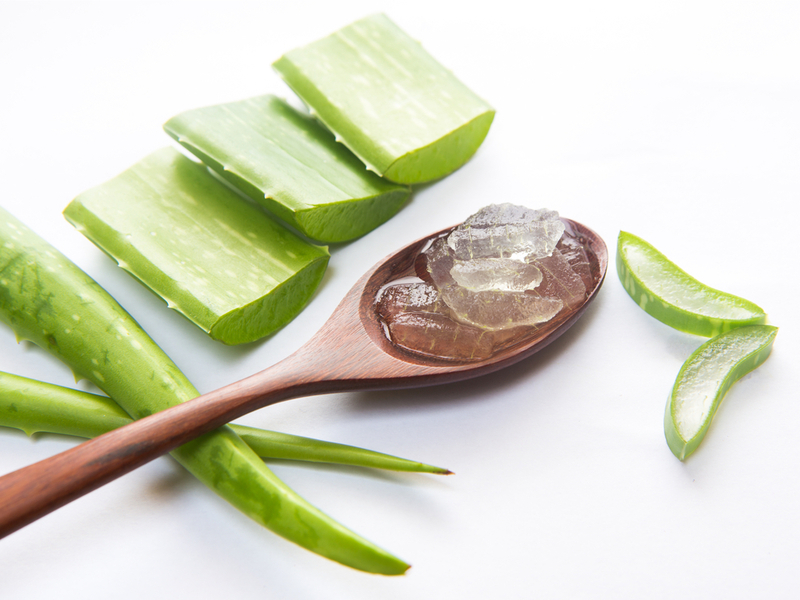 contains as many different ingredients as the aloe vera. 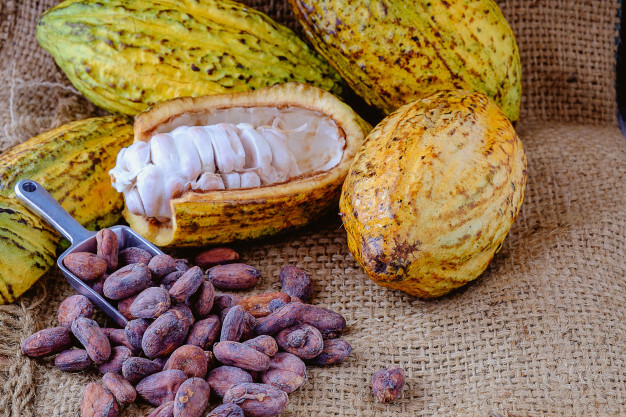 press of cocoa seeds or cocoa mass. lips, skin and hair supple and shiny. 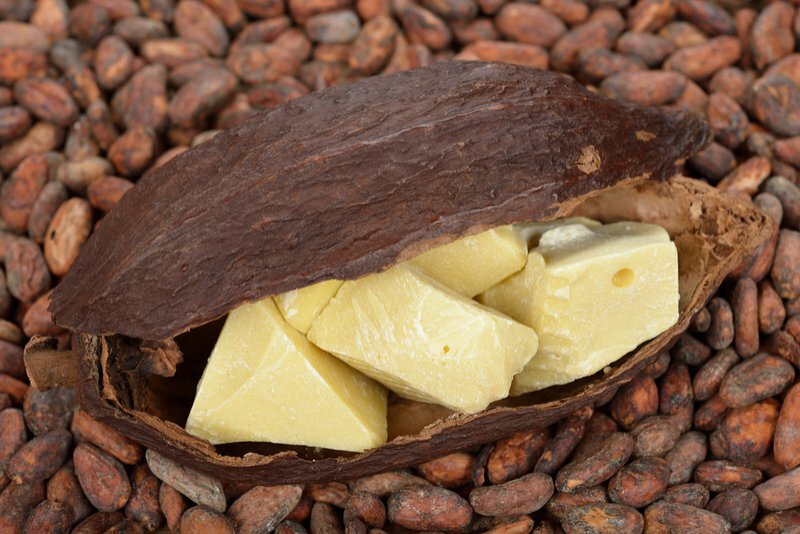 Cocoa butter can be appleid to every skin type. dry, brittle lips and hands. 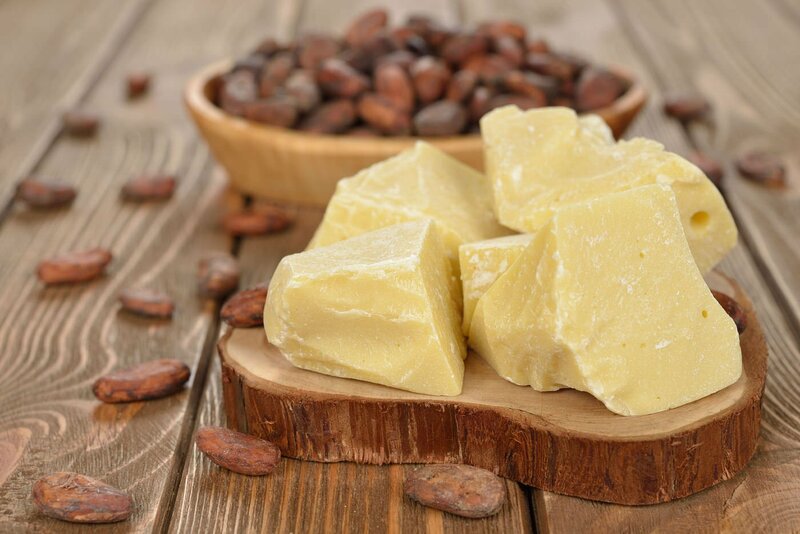 The special effect of cocoa butter is due to its versatile ingredients. 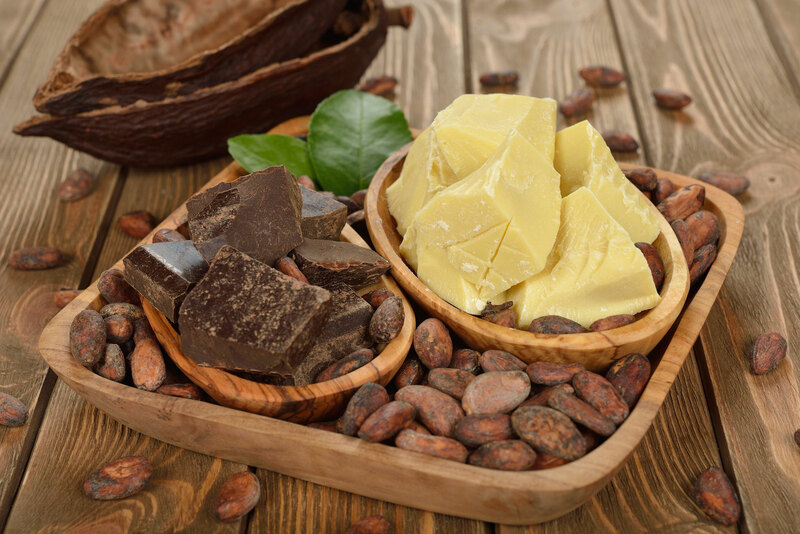 Cocoa butter contains many vitamins, minerals and amino acids. 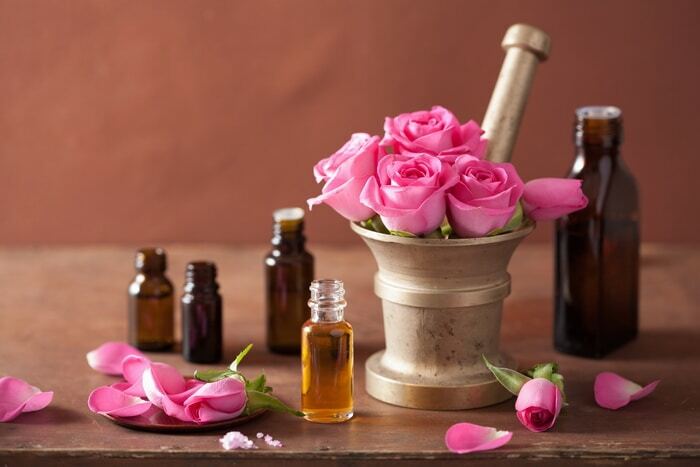 for example, skin diseases such as atopic dermatitis, rosacea, psoriasis, etc. 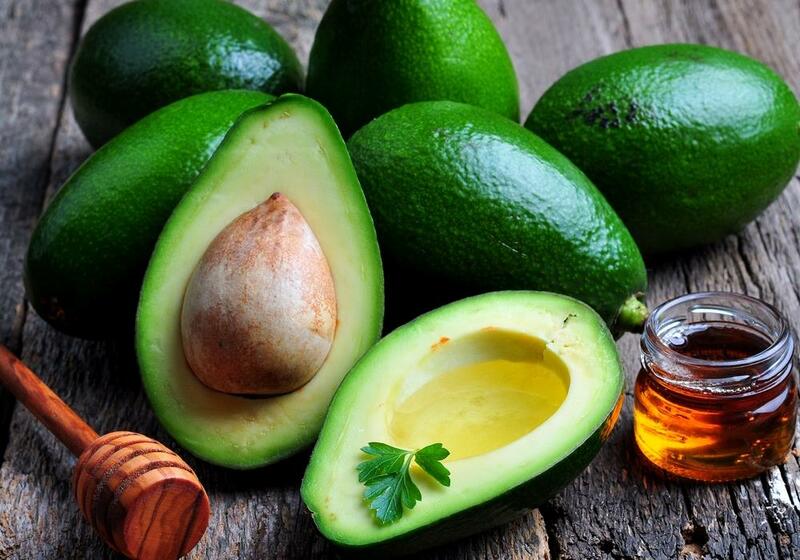 from premature aging and protects them from free radical attacks. in the skin, which in turn ensures an even complexion. proven positive in many ways. 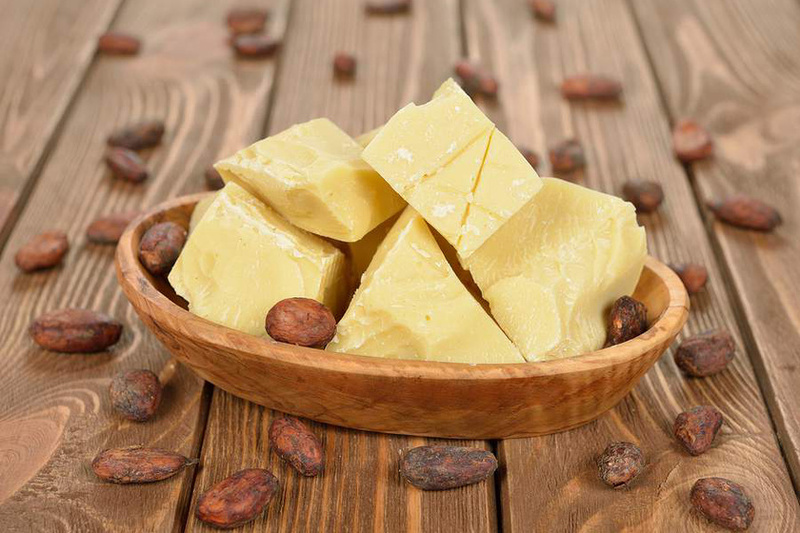 Cocoa butter nourishes dry skin and brittle lips. and thus gives the skin a longer life.